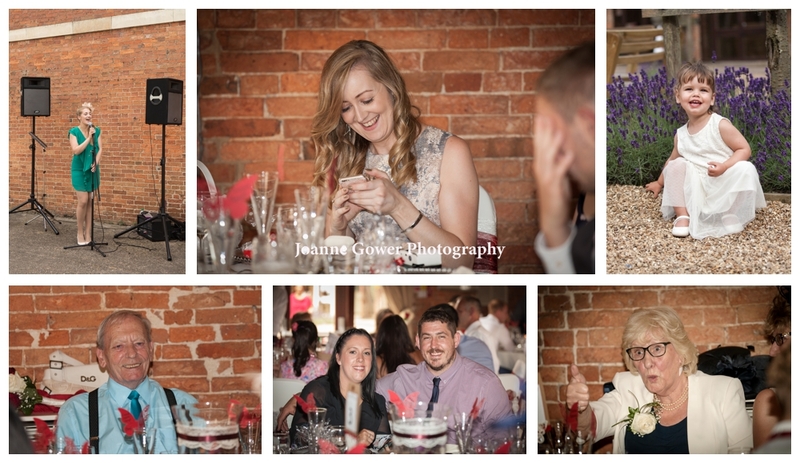 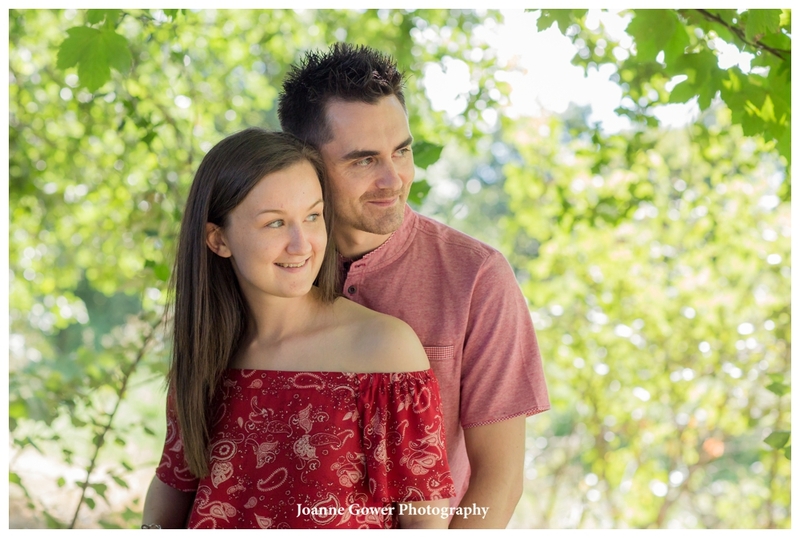 Our final pre wedding photography shoot this week was with Victoria and Shaun who are getting married in September at Jocastas in Lincoln. 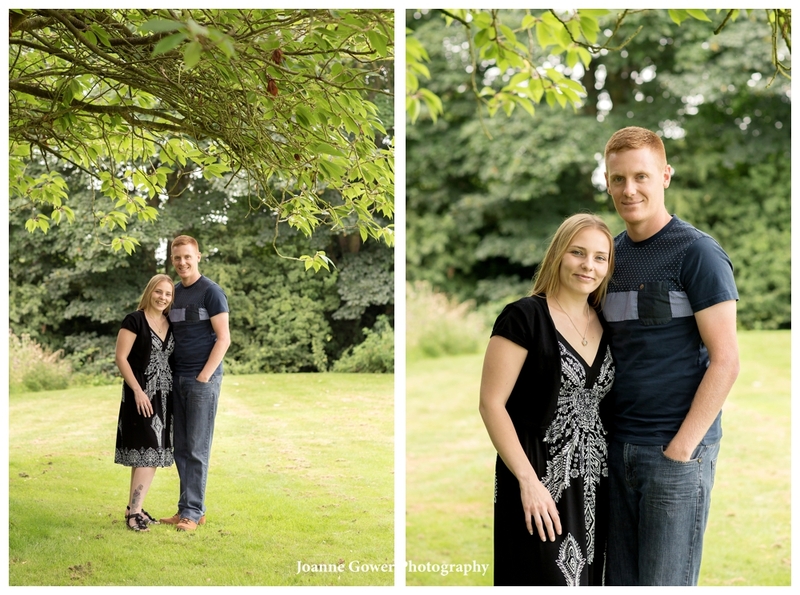 We met with them bright and early to chat over their wedding plans at Jocastas. 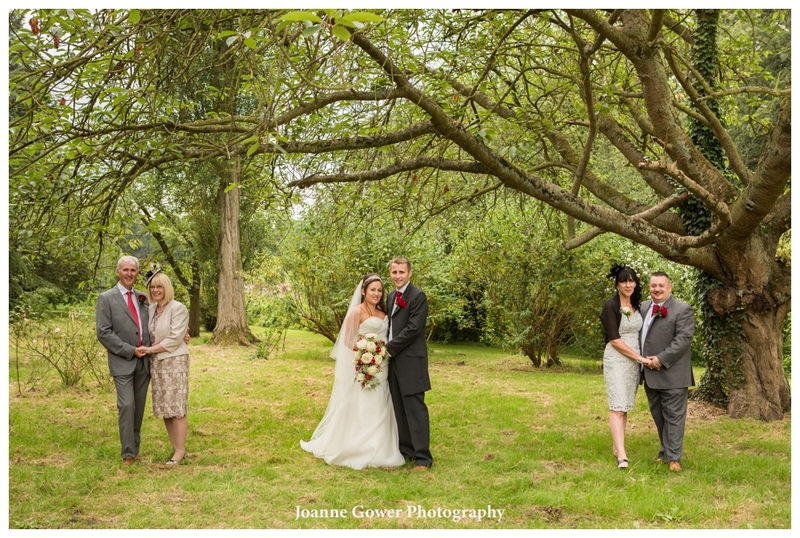 It was our first time at this venue and it is a lovely peaceful location for a wedding. 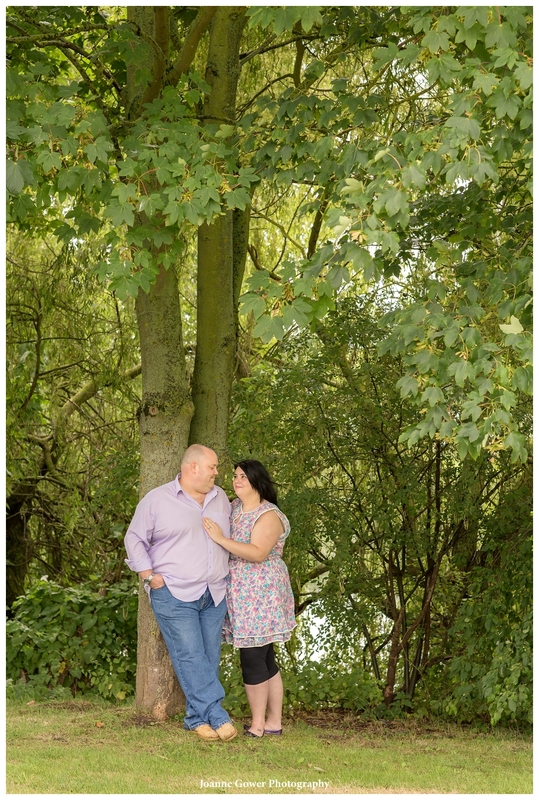 Following our meeting with Vicky and Shaun, we headed outside to do a quick photoshoot to get them used to being in front of the camera. 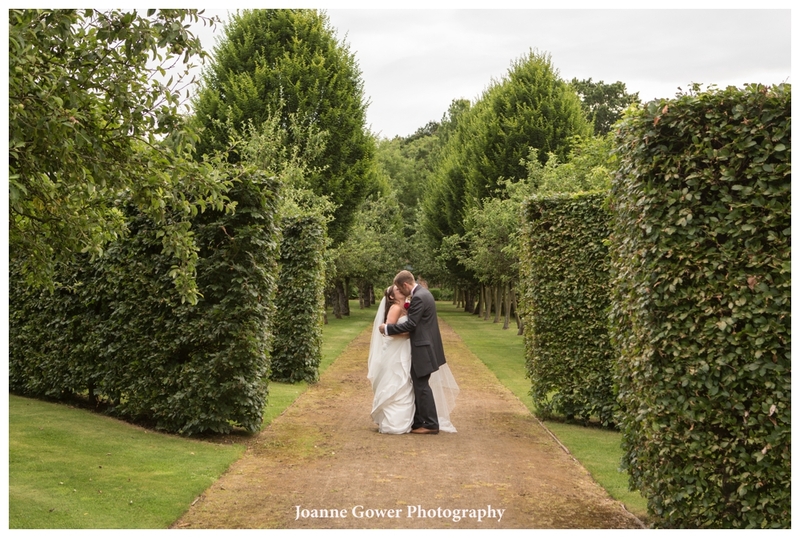 As always, it had been raining, but we were lucky again as we managed to avoid the showers! 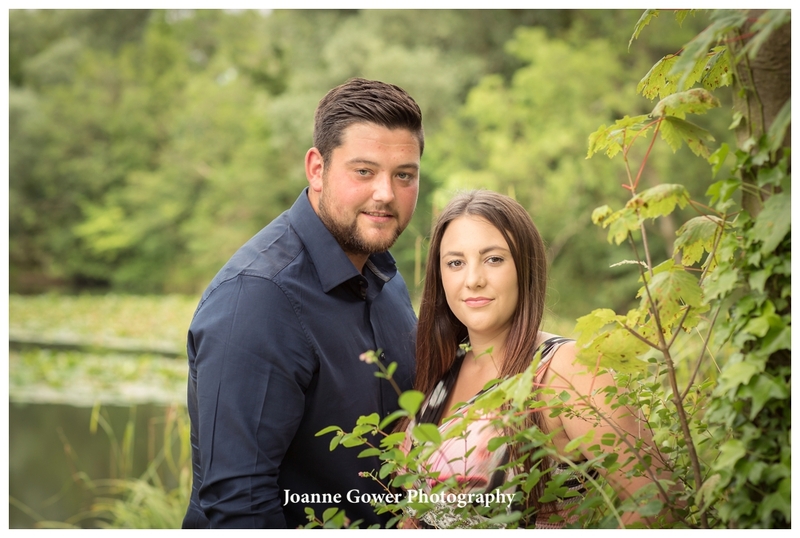 Vicky and Shaun are a really lovely couple and we are very much looking forward to working with them on their special day. 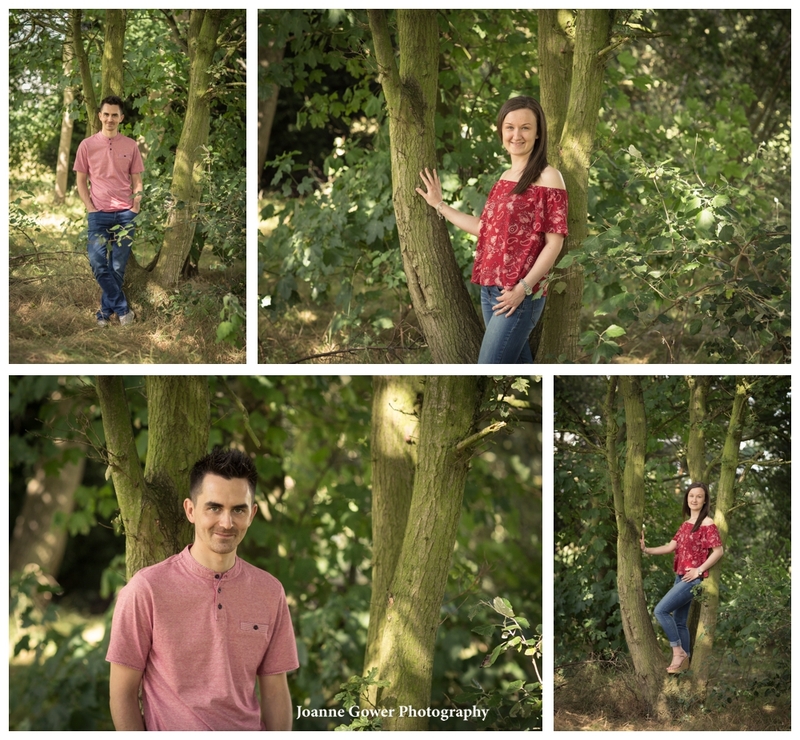 We had a great pre wedding photography shoot with Emma and James who are getting married at the Hallmark Hotel, North Ferriby in August. 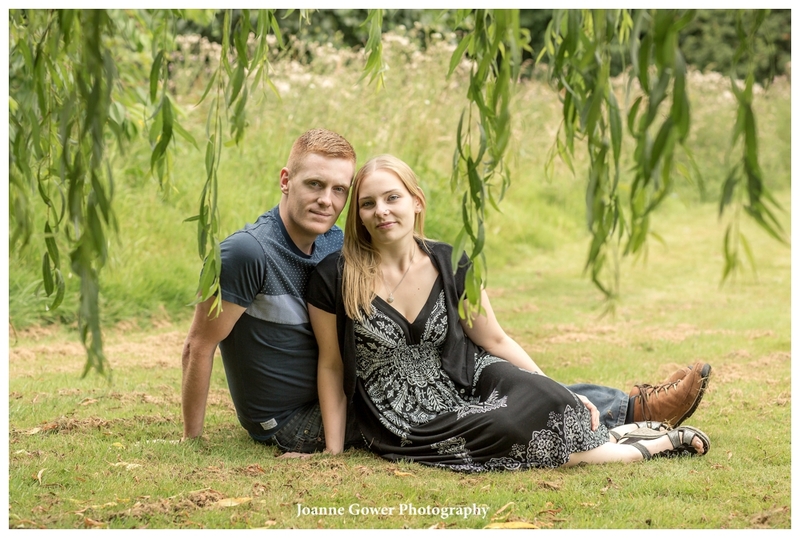 We met up with them at lunchtime yesterday, for a chat about their arrangements for the wedding and to talk through their requirements for their wedding photography. 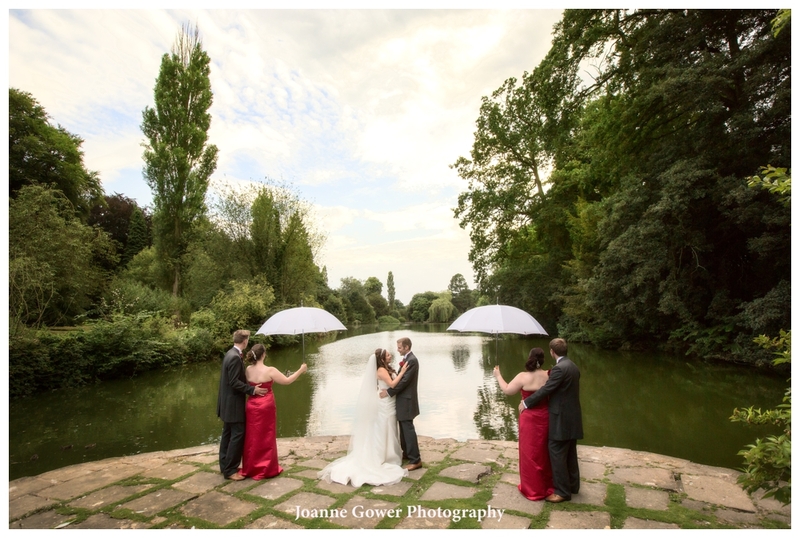 It was a typical British summers day when we arrived – raining! 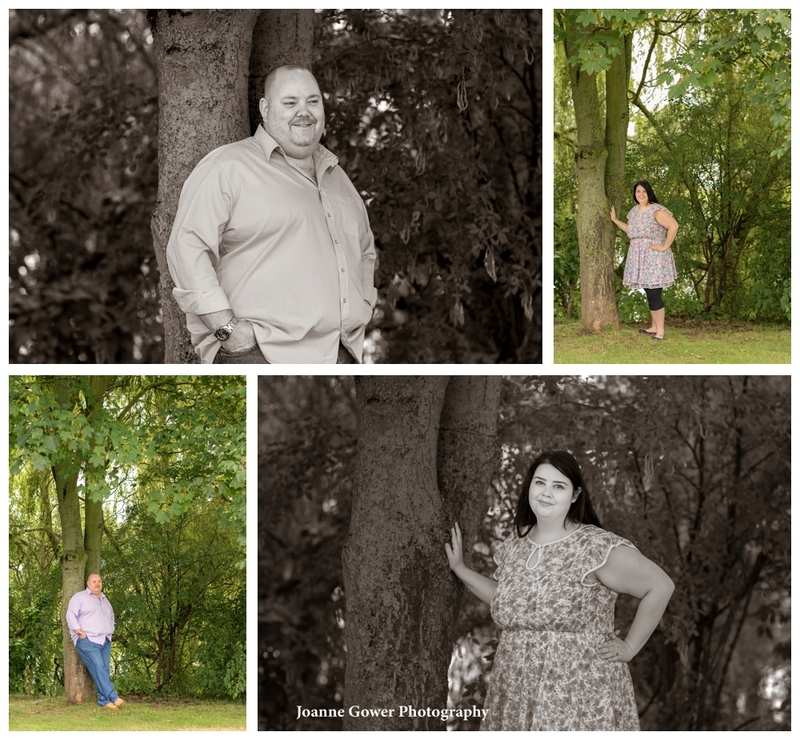 Fortunately for us the rain had an hour off and we were able to have a walk in the garden and do a few photographs after our chat. 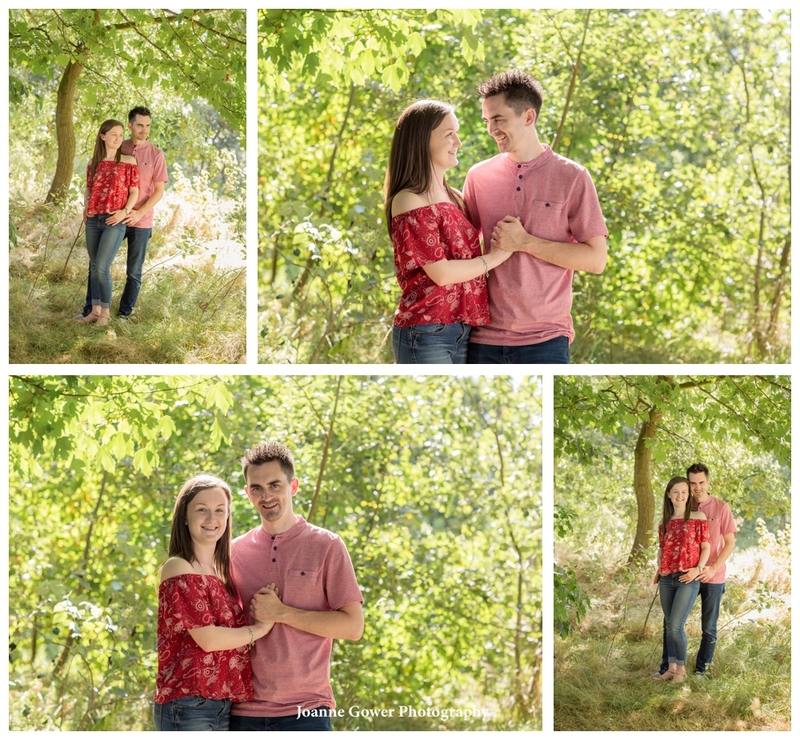 Emma and James are a lovely couple, who are very at ease with each other, and in from of the camera. 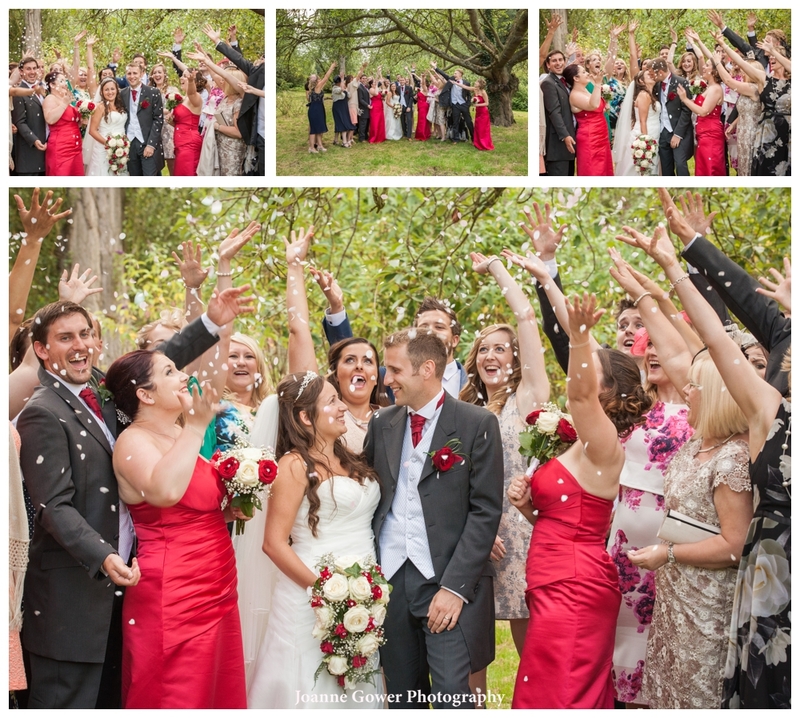 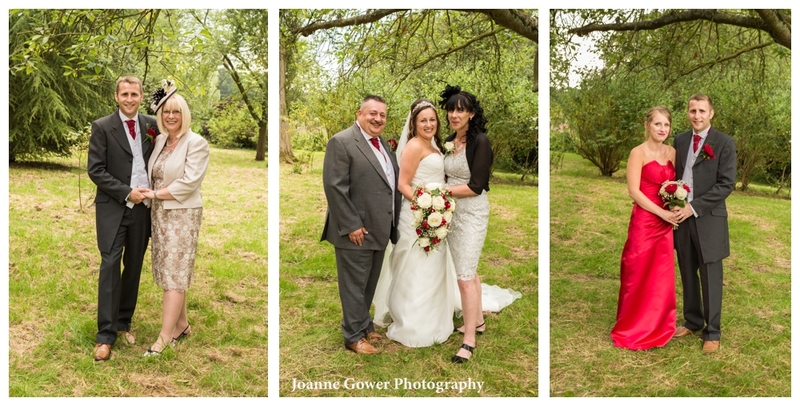 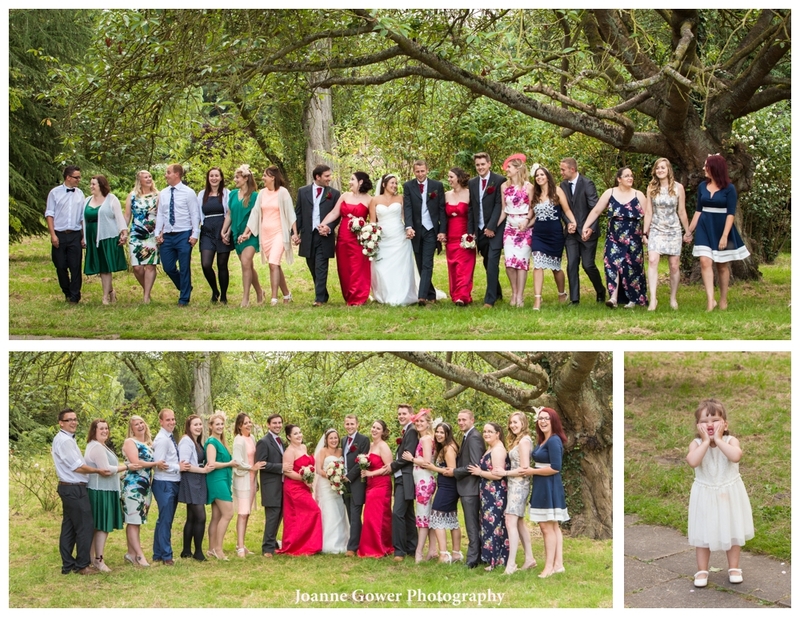 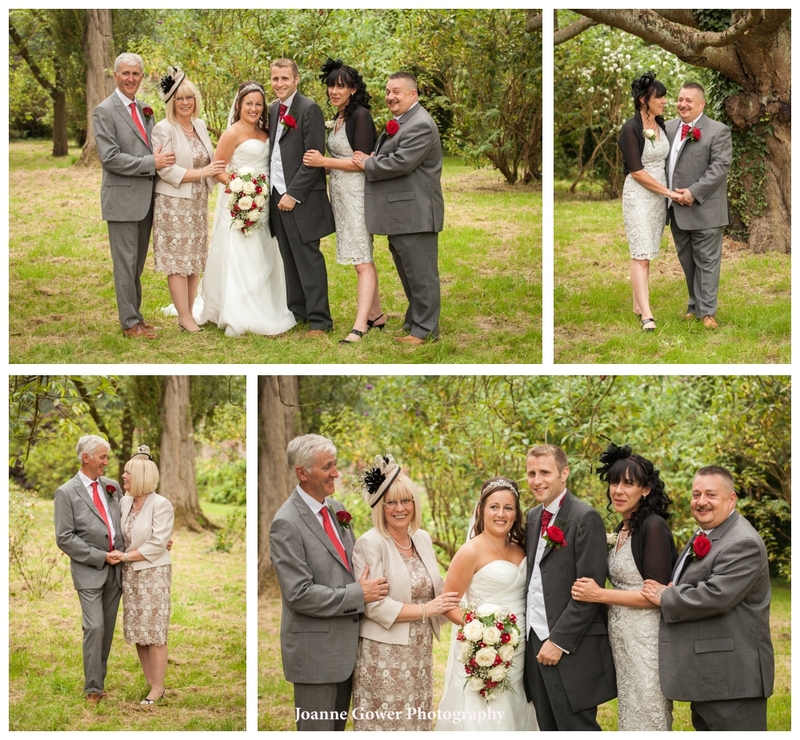 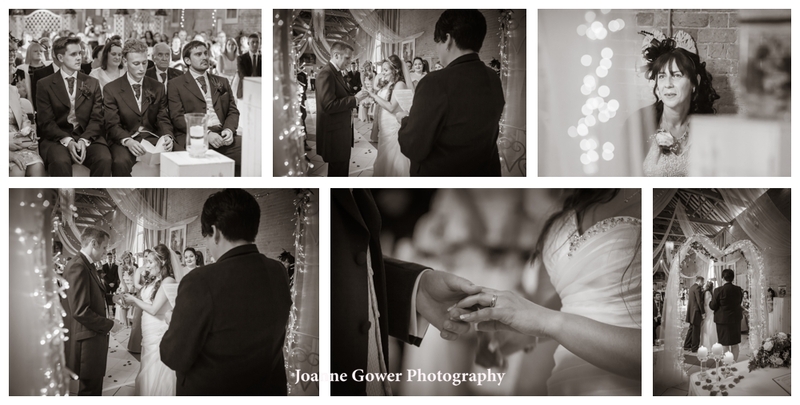 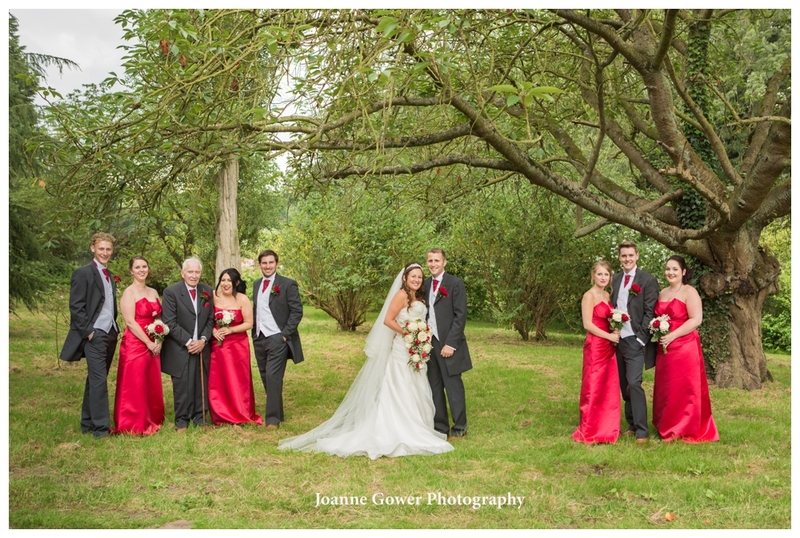 I knew from the minute they came to see me, that this would be one wedding that I would really enjoy photographing! 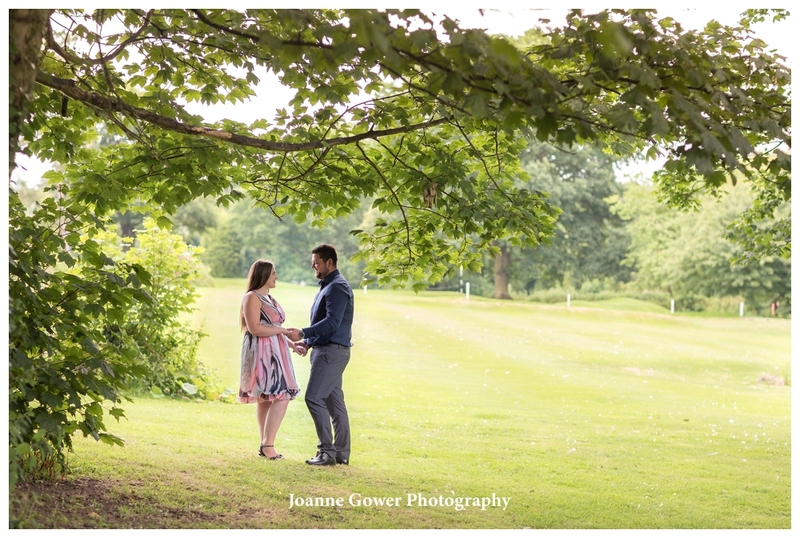 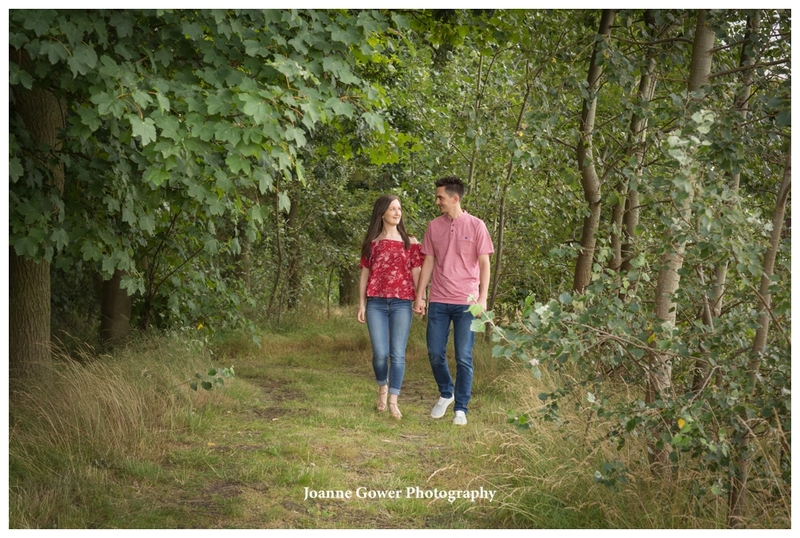 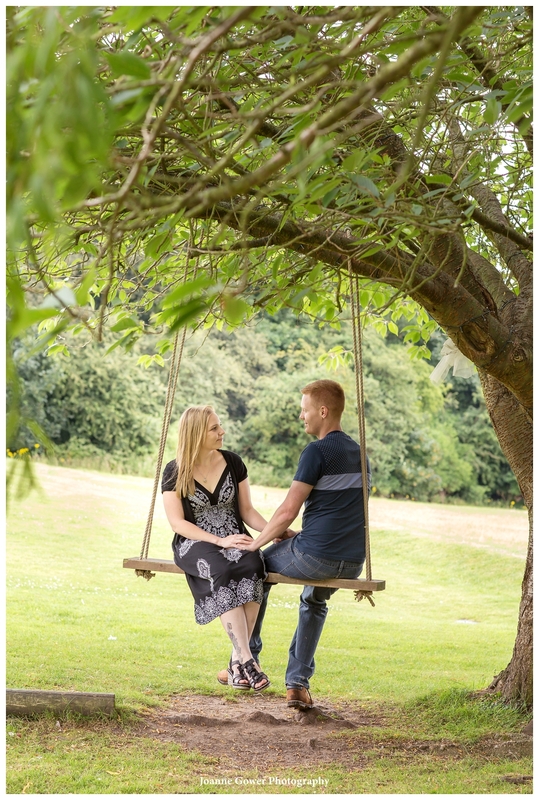 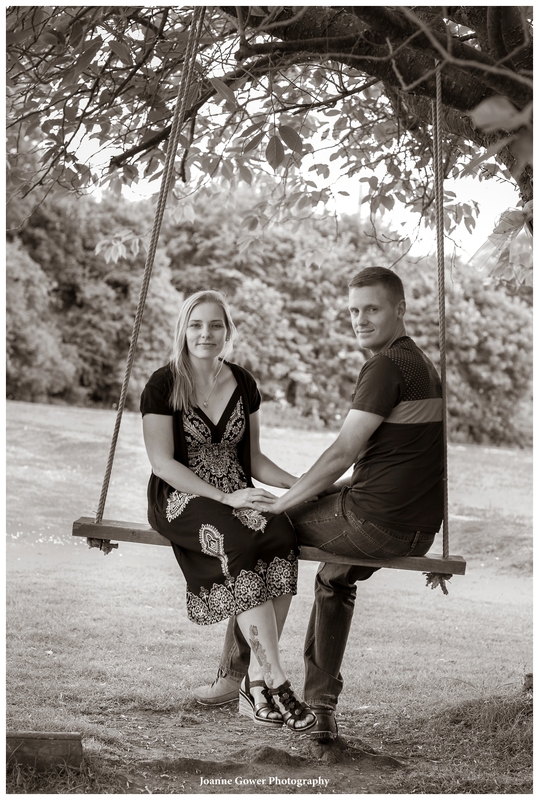 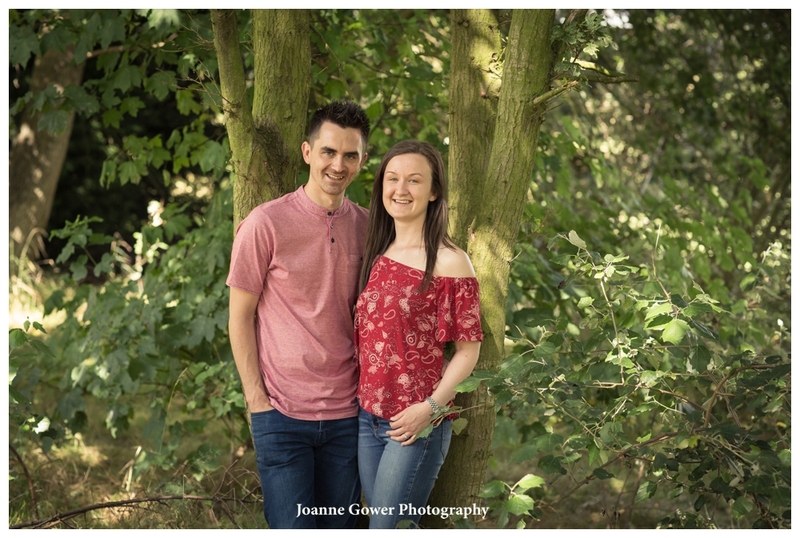 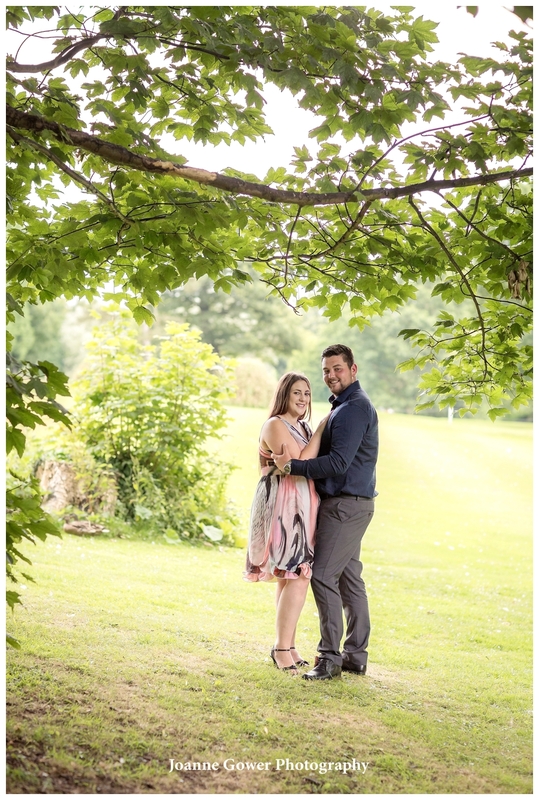 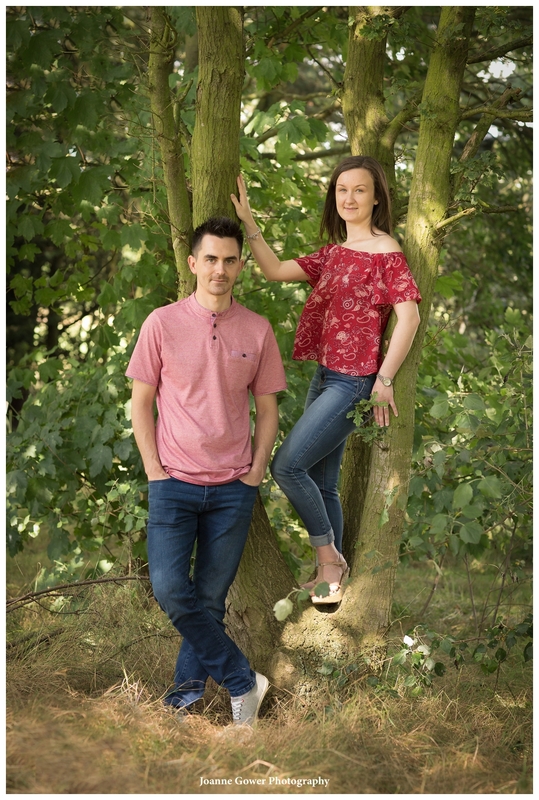 The second of this weeks pre wedding photography shoot was with Laura and Adrian who are getting married at the beginning of September at the Grange Park in Messingham. 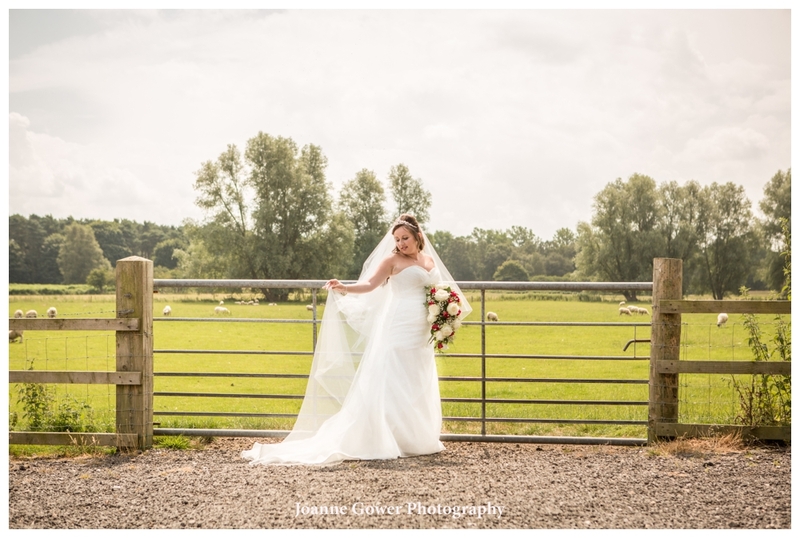 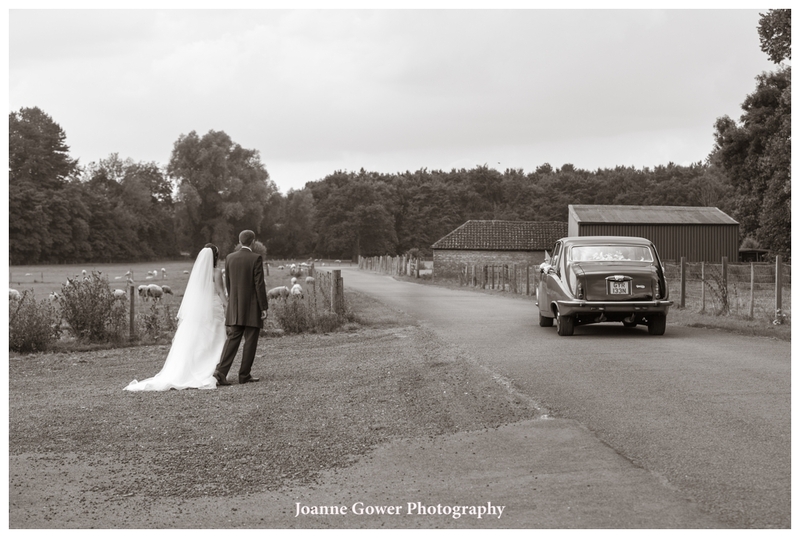 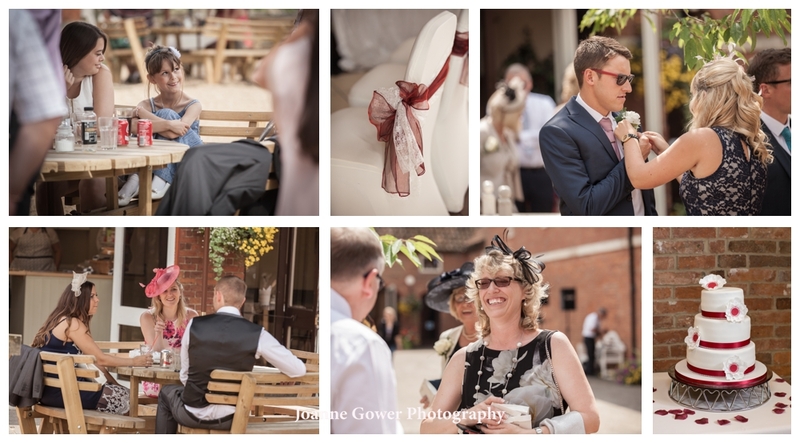 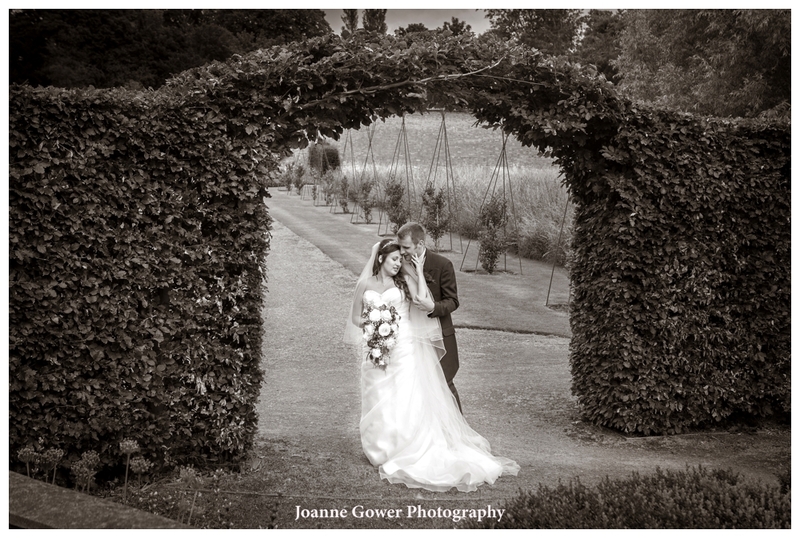 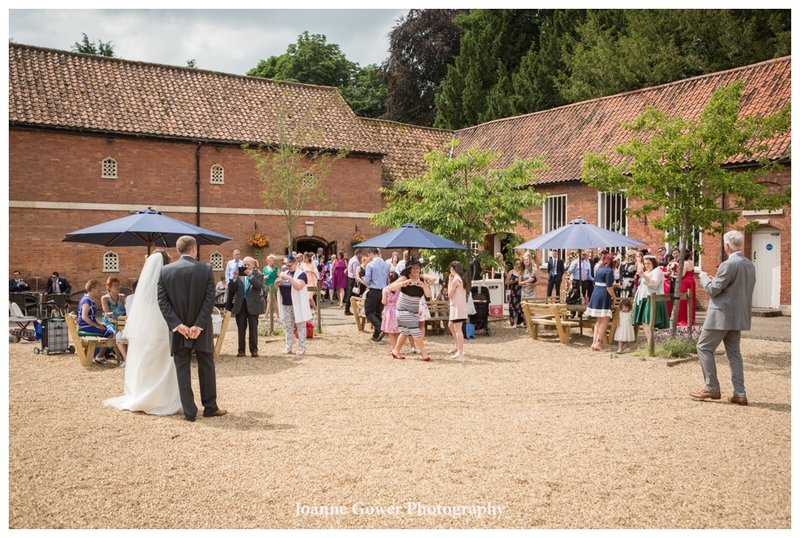 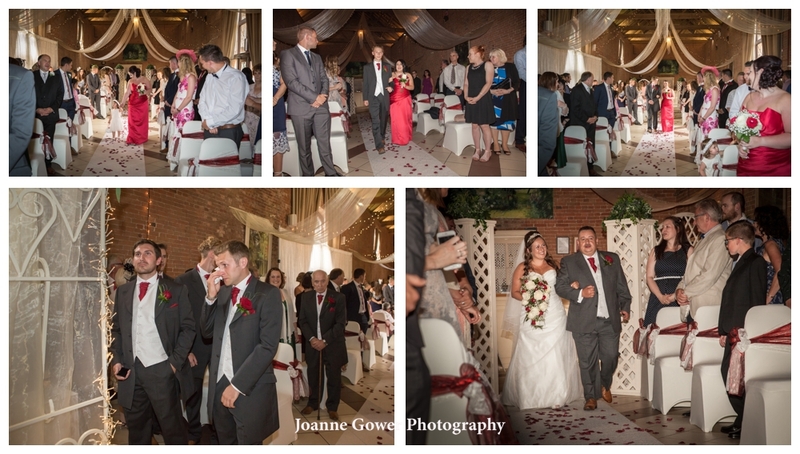 We do a lot of weddings in Lincolnshire and love the venues and the great back drops that they provide for photography. 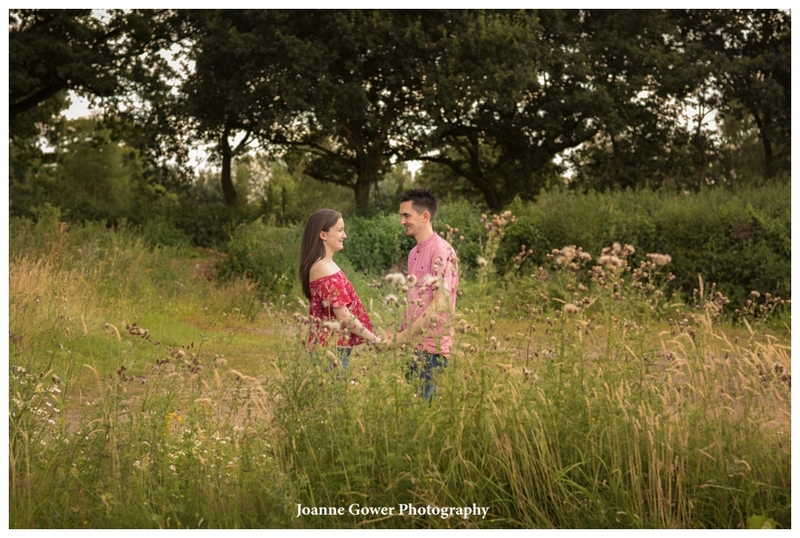 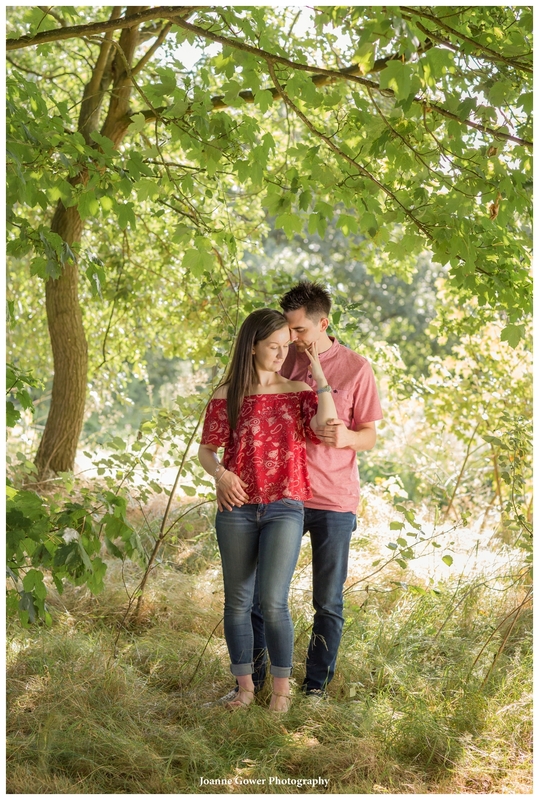 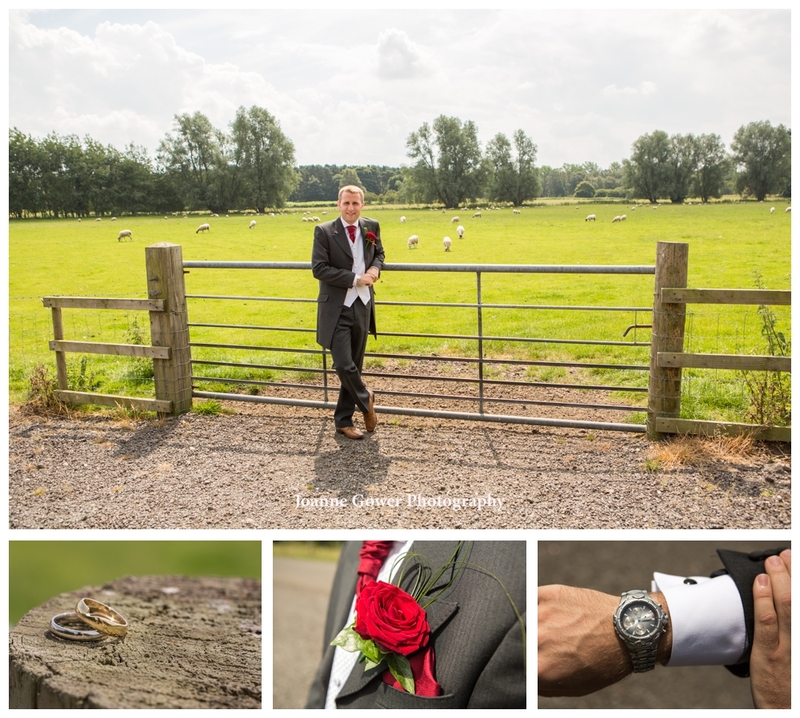 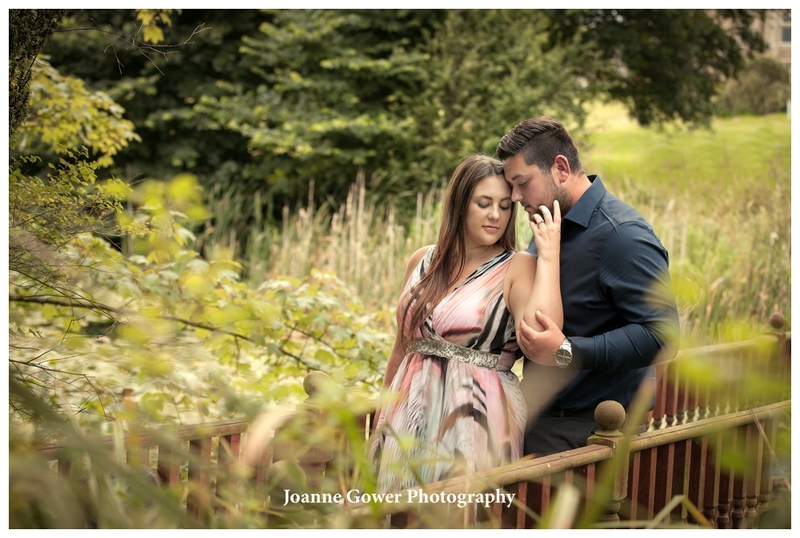 The pre shoot provides us with a great opportunity to have a look at the venue and to discuss with our couple what they would like from their photography. 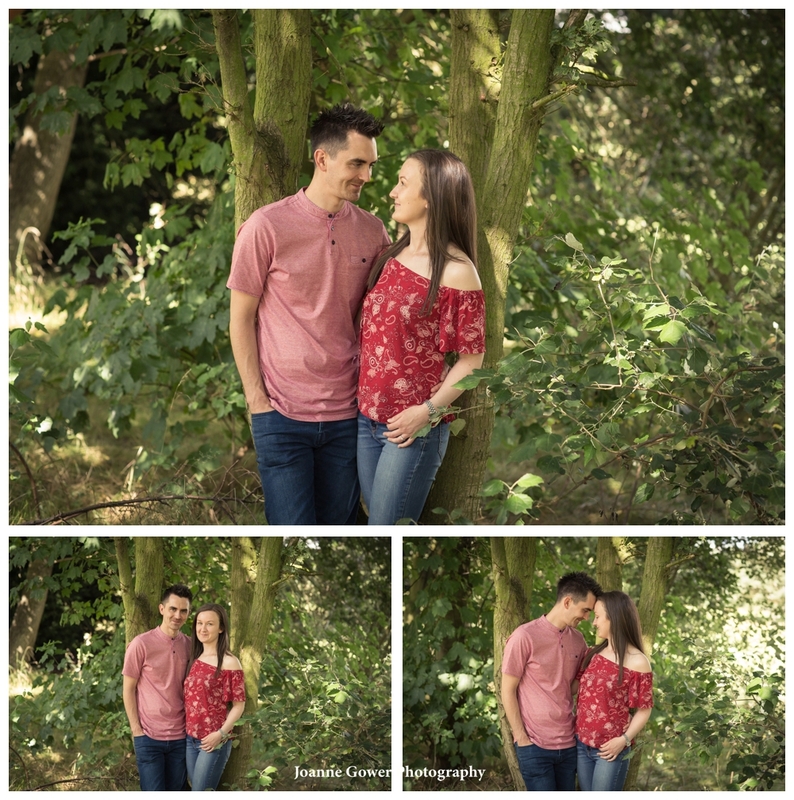 We had a lovely chat with Laura and Adrian and they were very relaxed with each other and in front of the camera, so we are very much looking forward to photographing their wedding day. 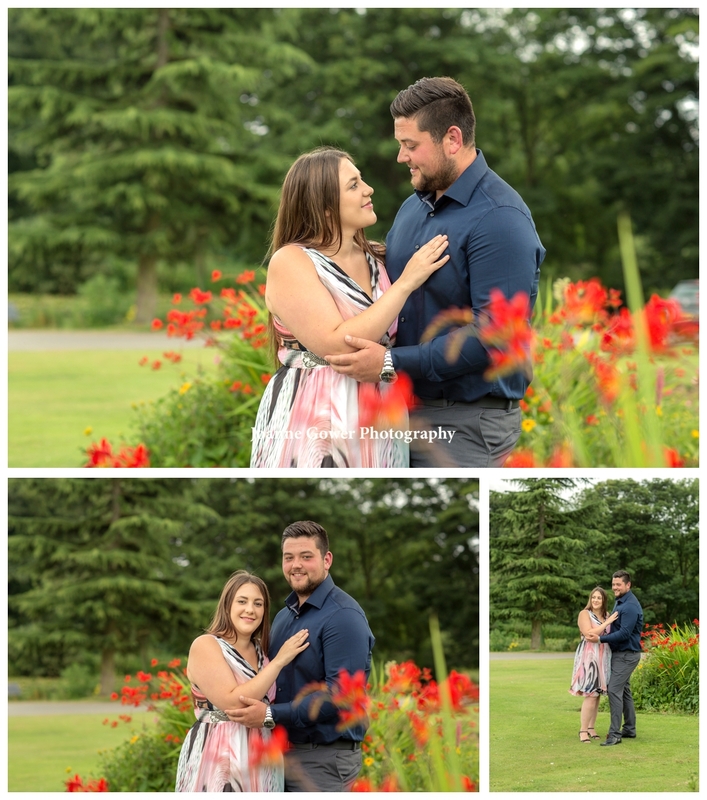 Its going to be a very busy week for pre wedding photography shoots and yesterday we met up with Emily and Jamie who are getting married at Cave Castle Hotel in August. 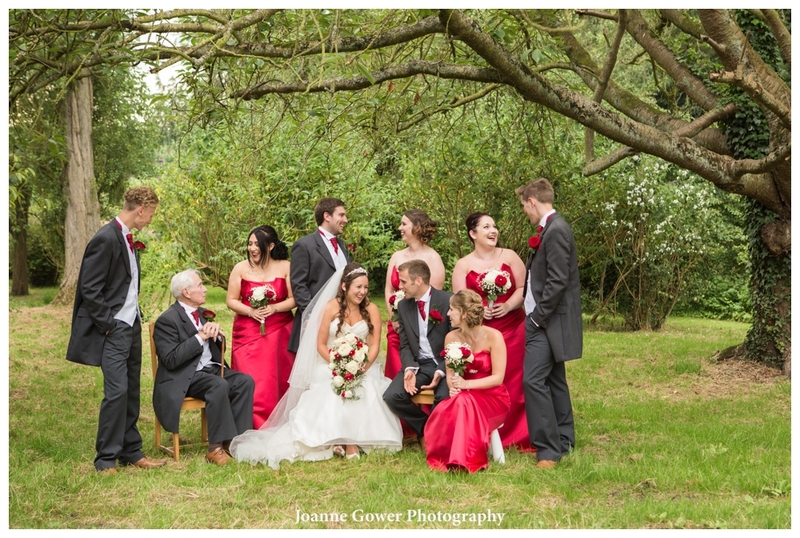 Before the shoot we had a chat about the arrangements for their special day which will be a gathering of close family and friends. 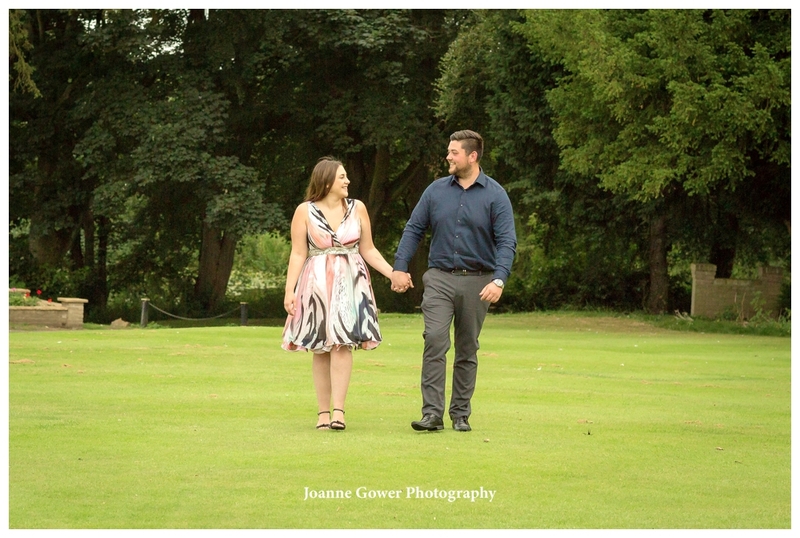 After this, we had a wander around the gardens at the Castle which always provide a lovely backdrop for wedding photography. 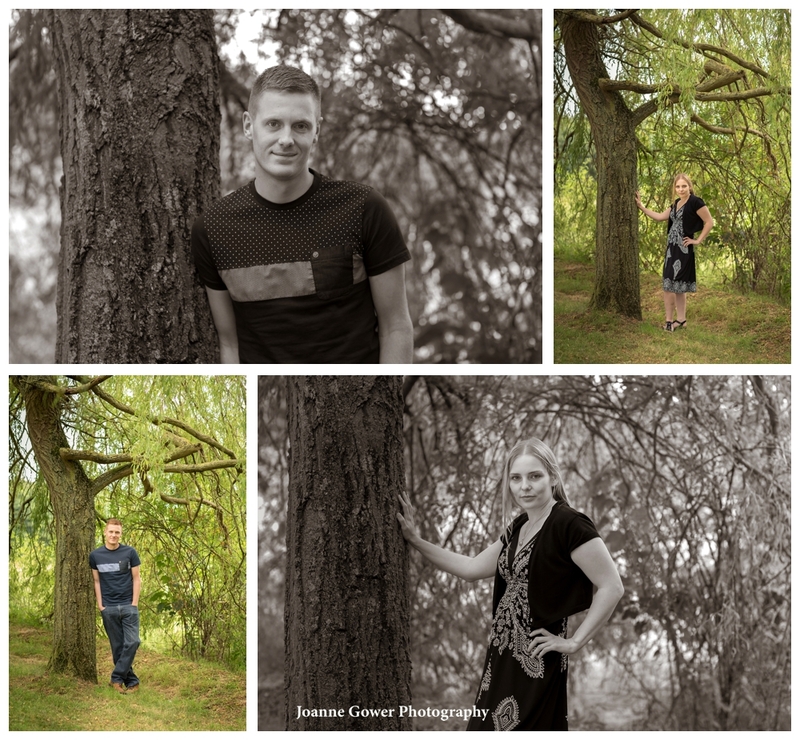 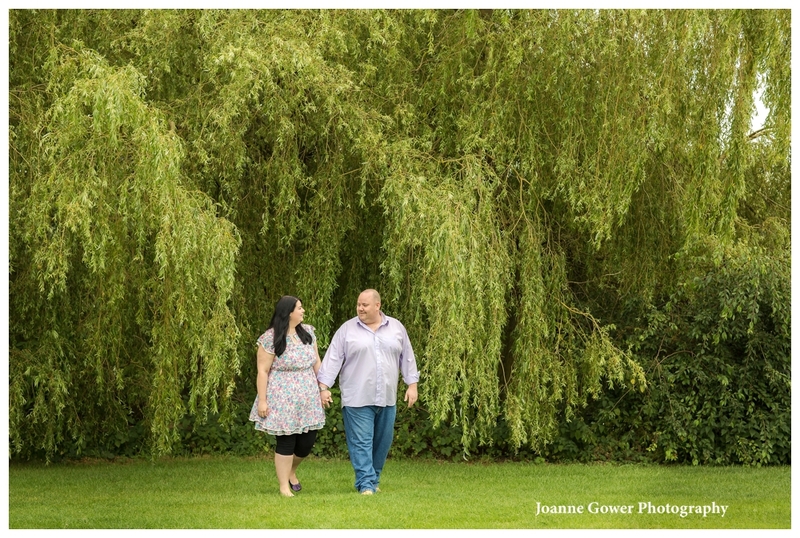 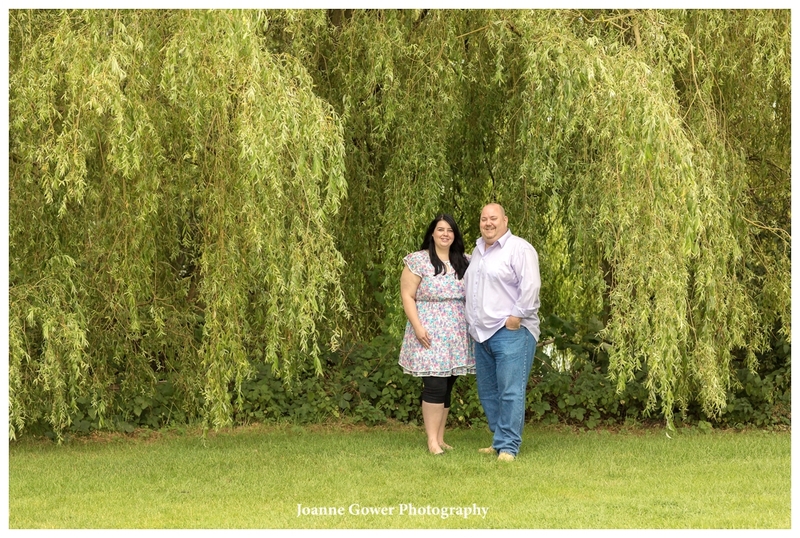 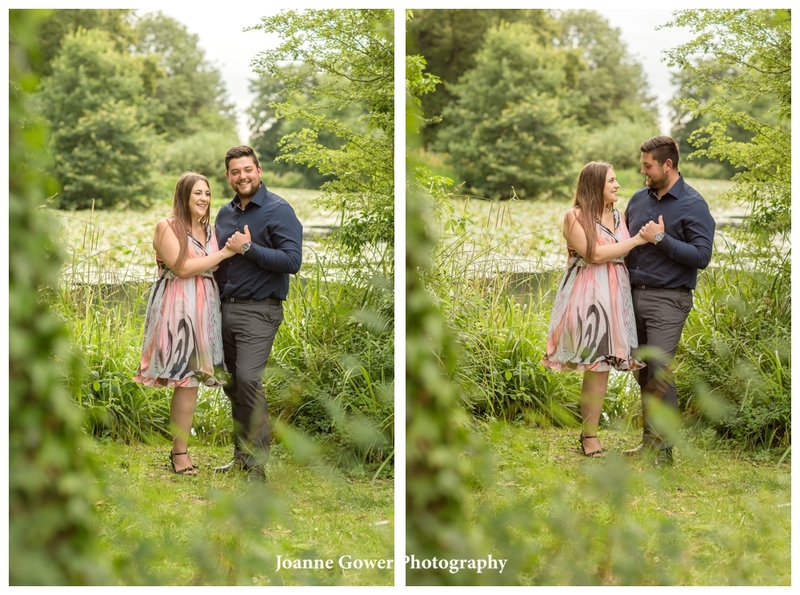 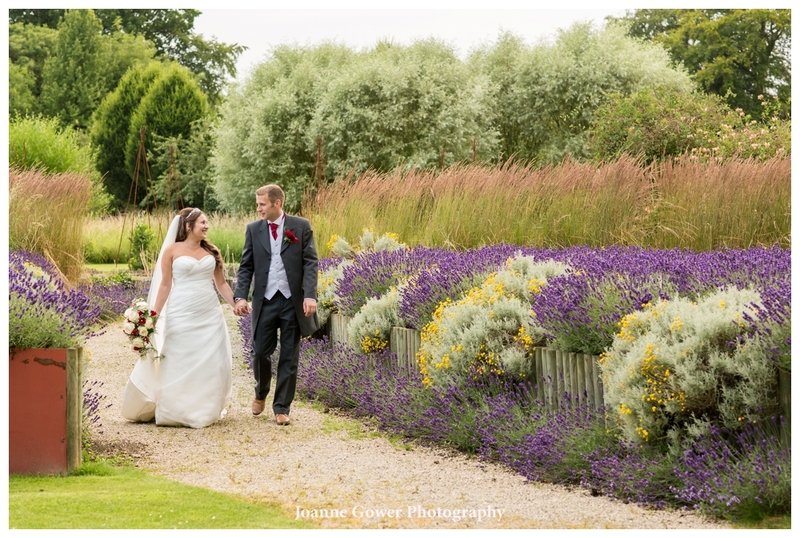 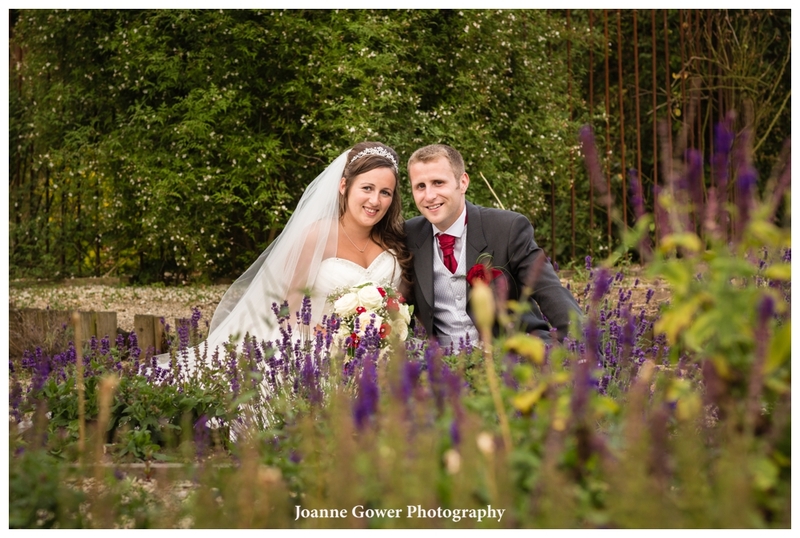 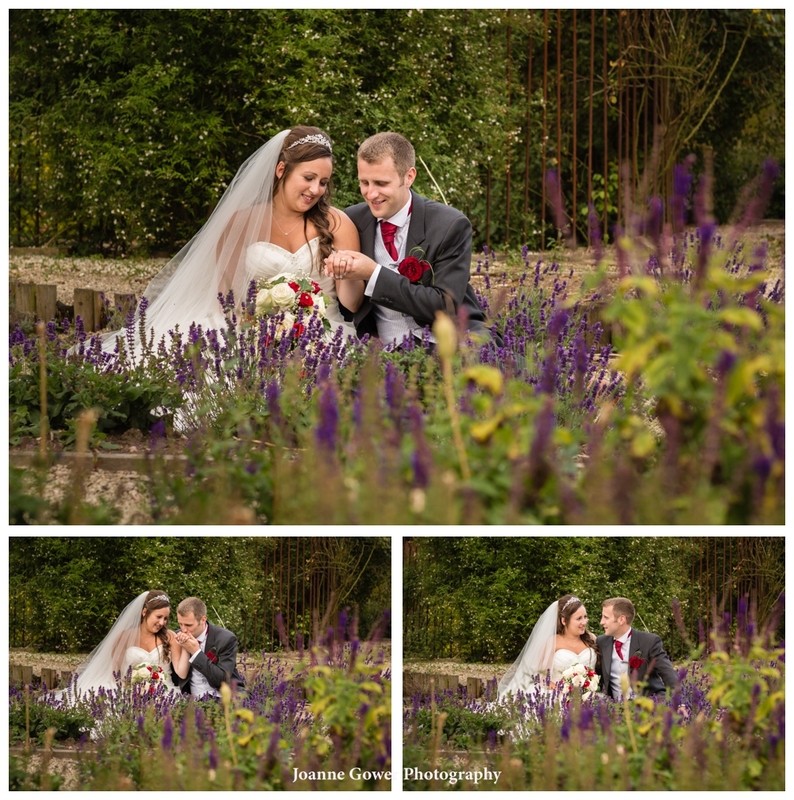 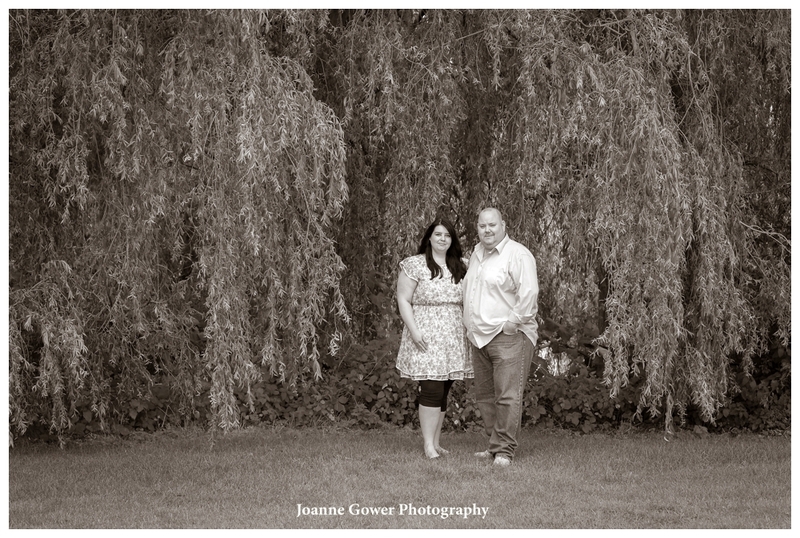 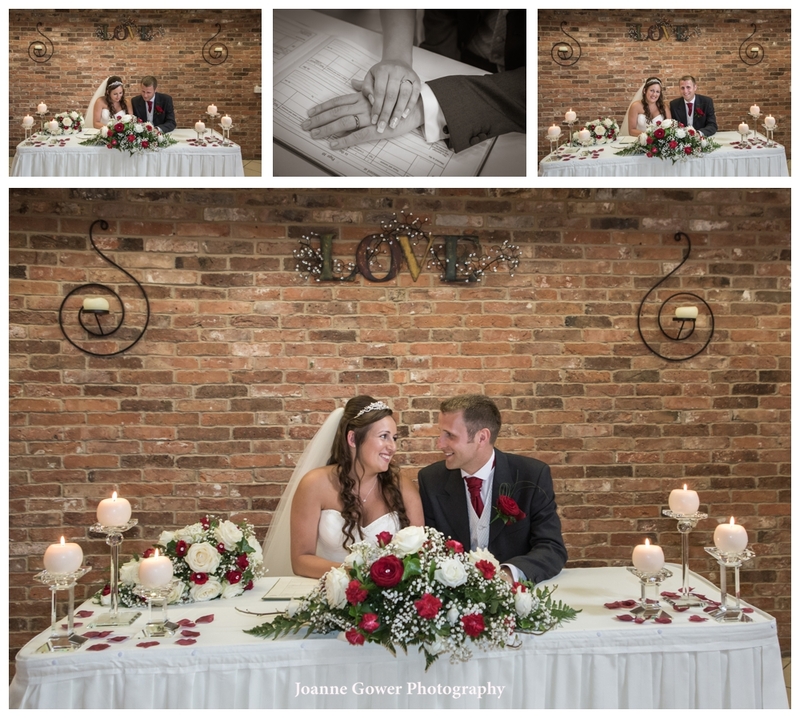 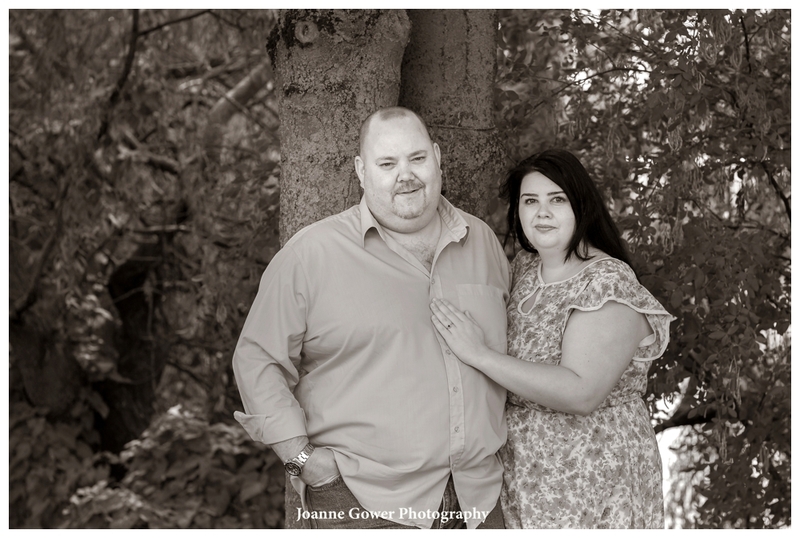 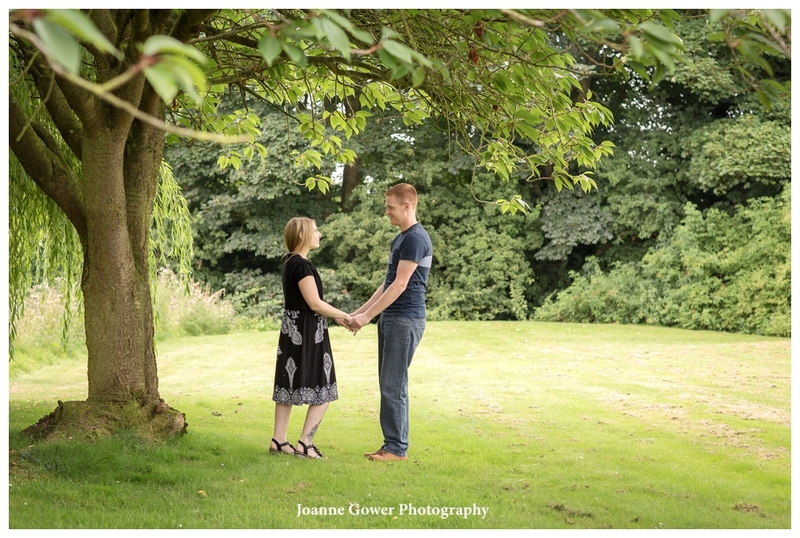 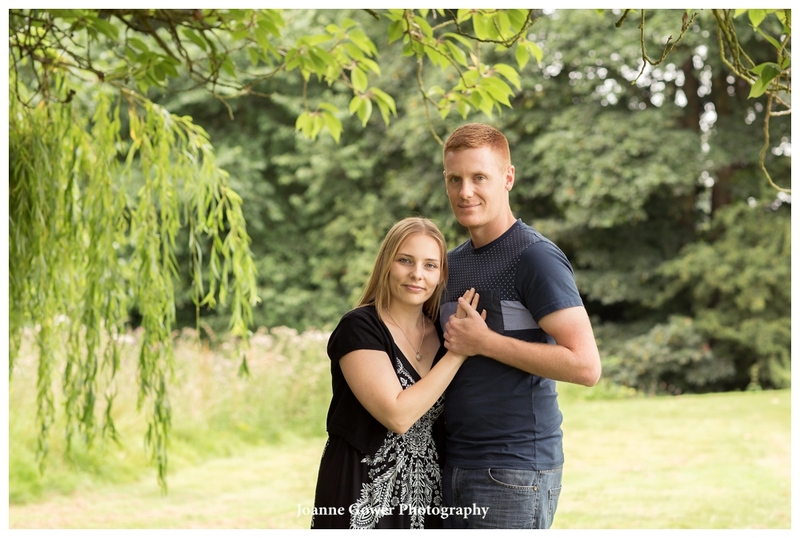 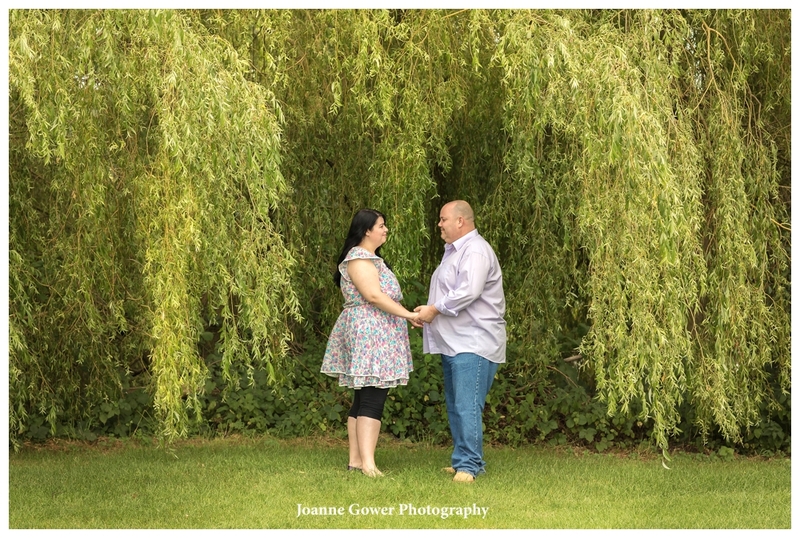 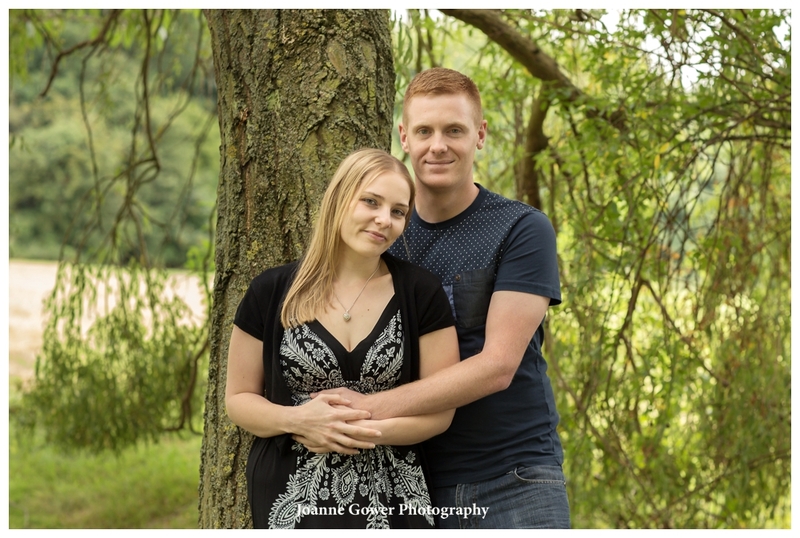 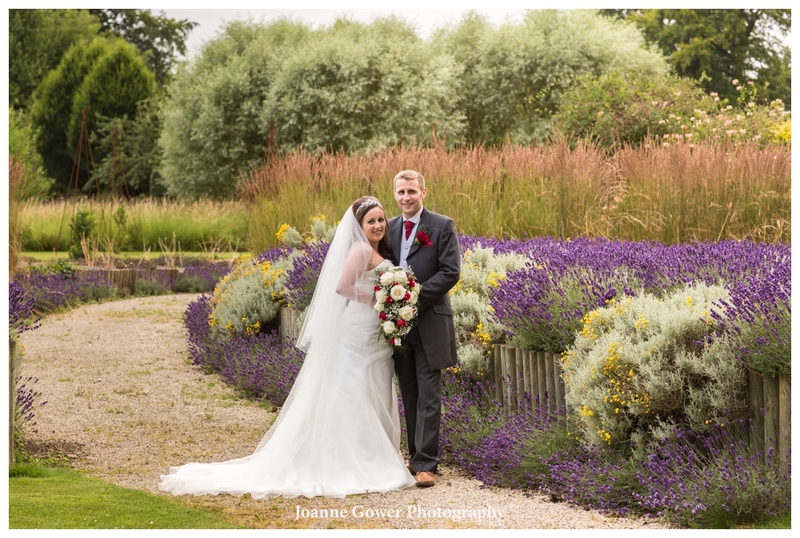 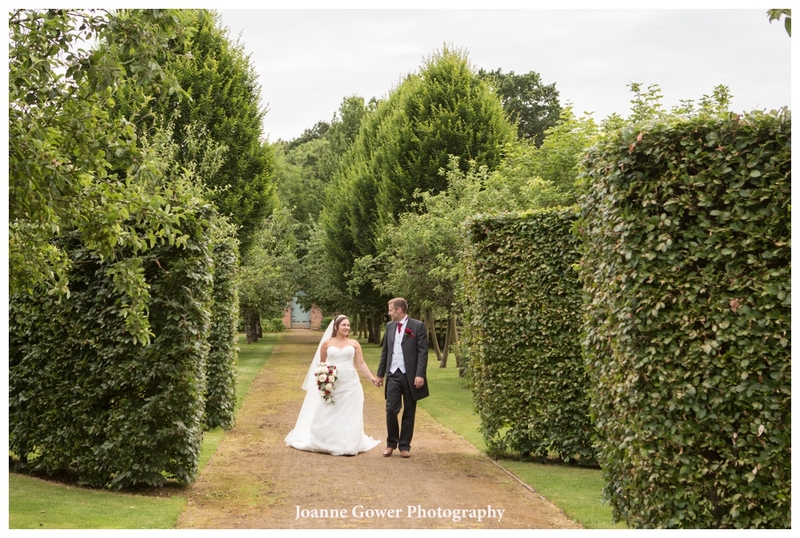 Emily and Jamie are a lovely couple and we are very much looking forward to photographing their wedding. 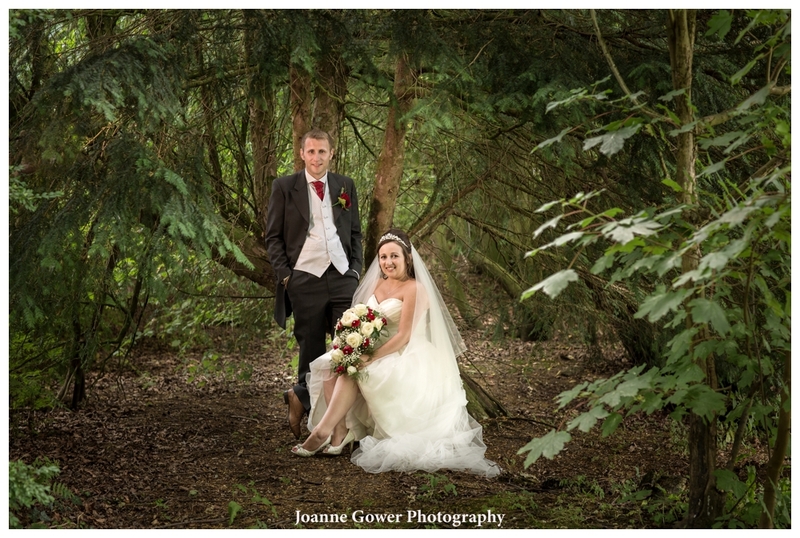 I am delighted to share with you the preview wedding photography for Emily and Michael who were married yesterday at Elsham Hall. 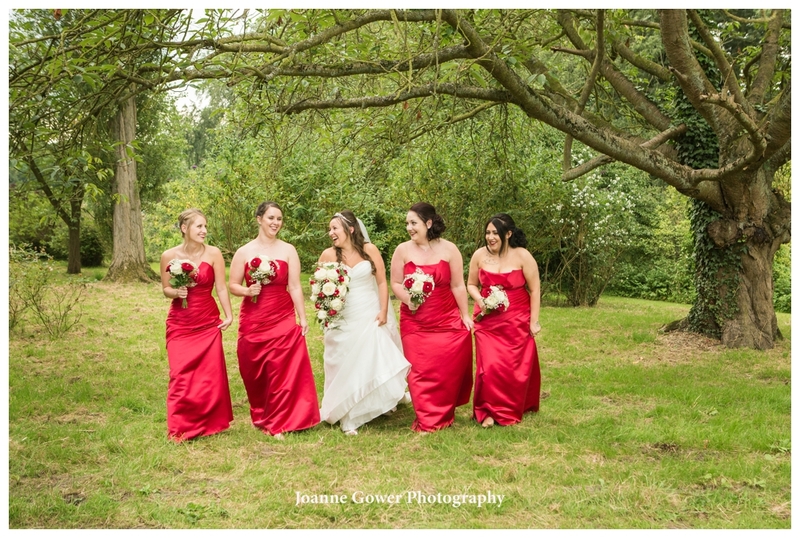 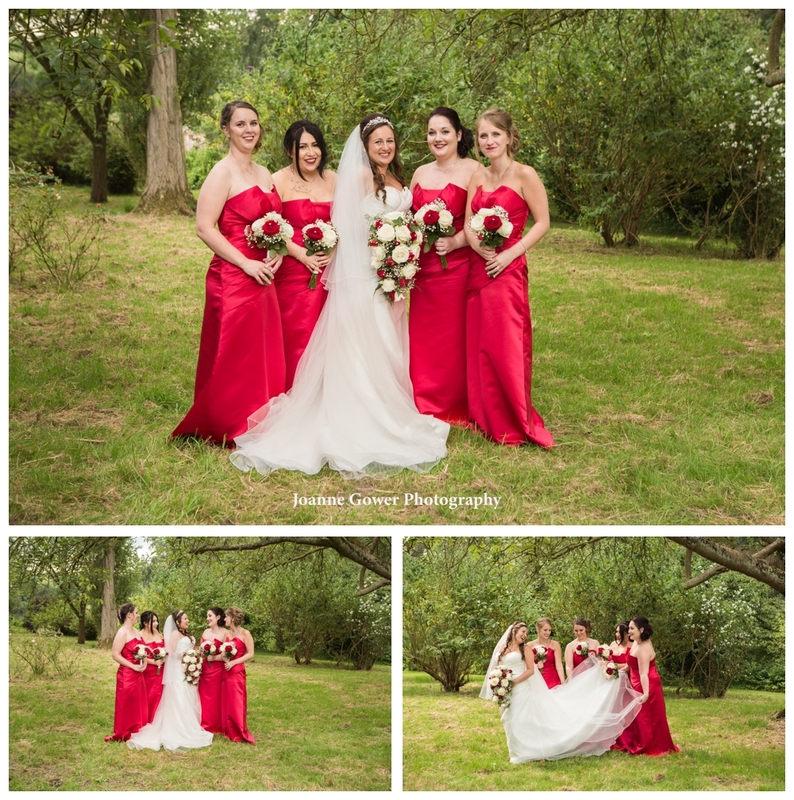 We had a wonderful day which started with the bride and her bridemaids Laura, Emma, Abbey and Katie. 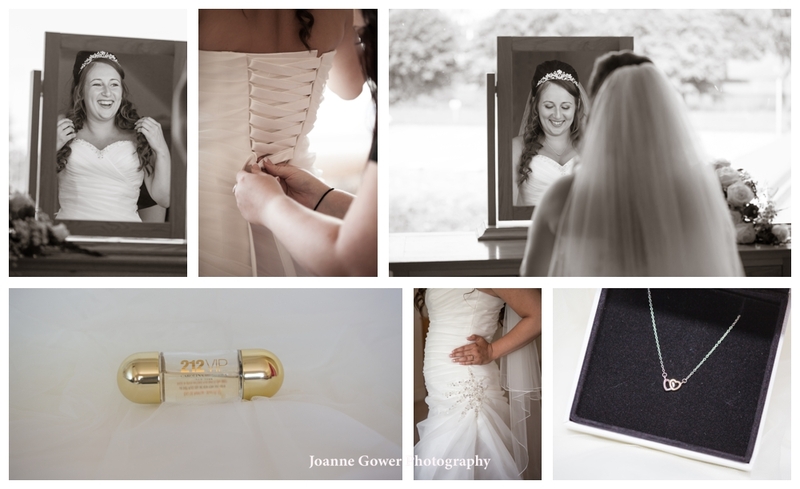 When we arrived the girls were almost ready and were having the finishing touches done to their hair and make up. 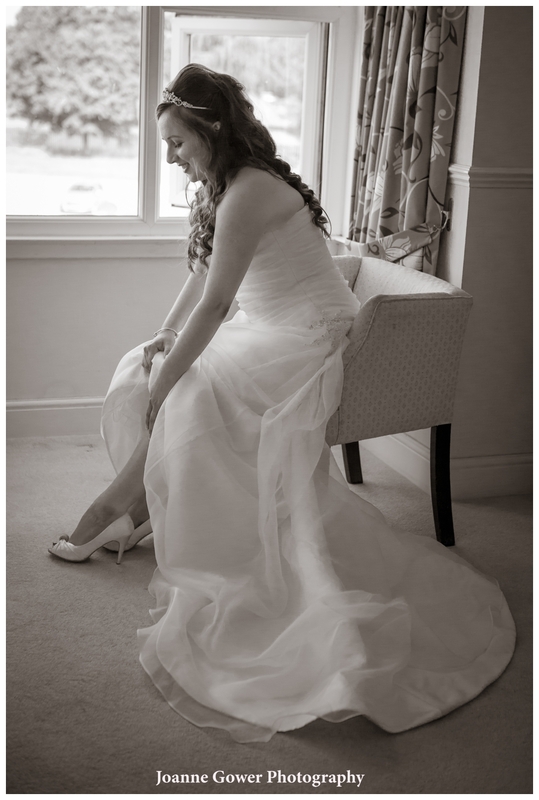 Emily’s hair was done by Joanna Lamb and Charlotte Littleworth did her make up. 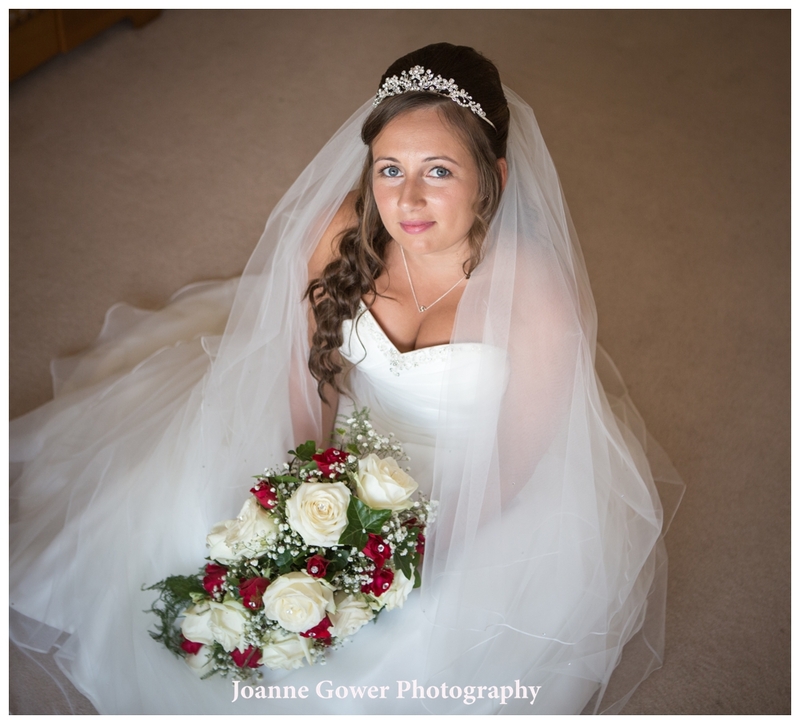 Her dress was from Sugar and Spice and the look was completed with her lovely bouquet which was done by friend Sally. 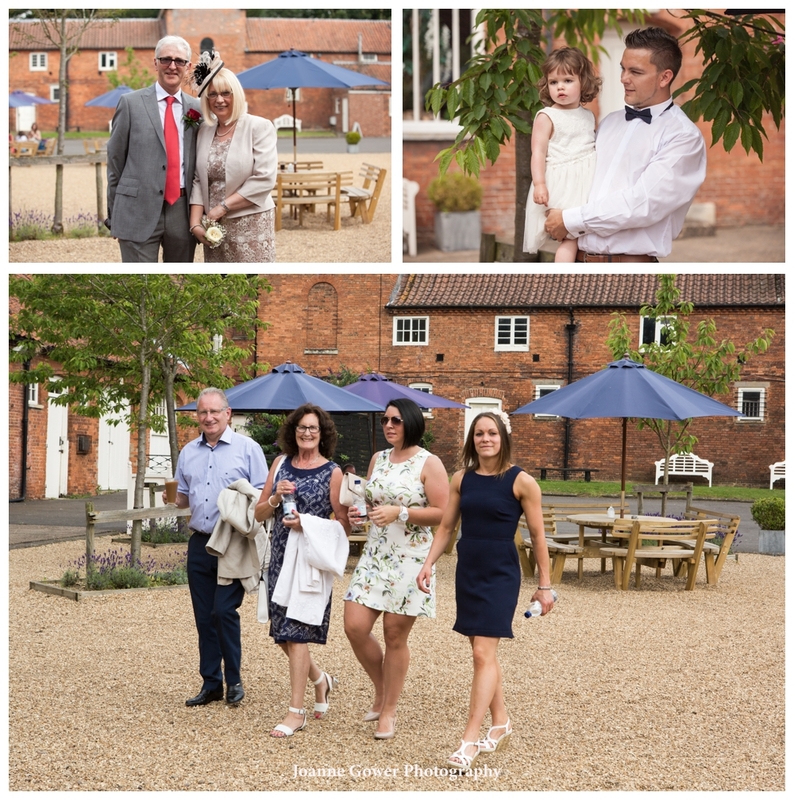 Following the bridal portraits, Emily had her photograph taken with mum and dad Emma and Tony and then it was time for us to head off to meet the groom. 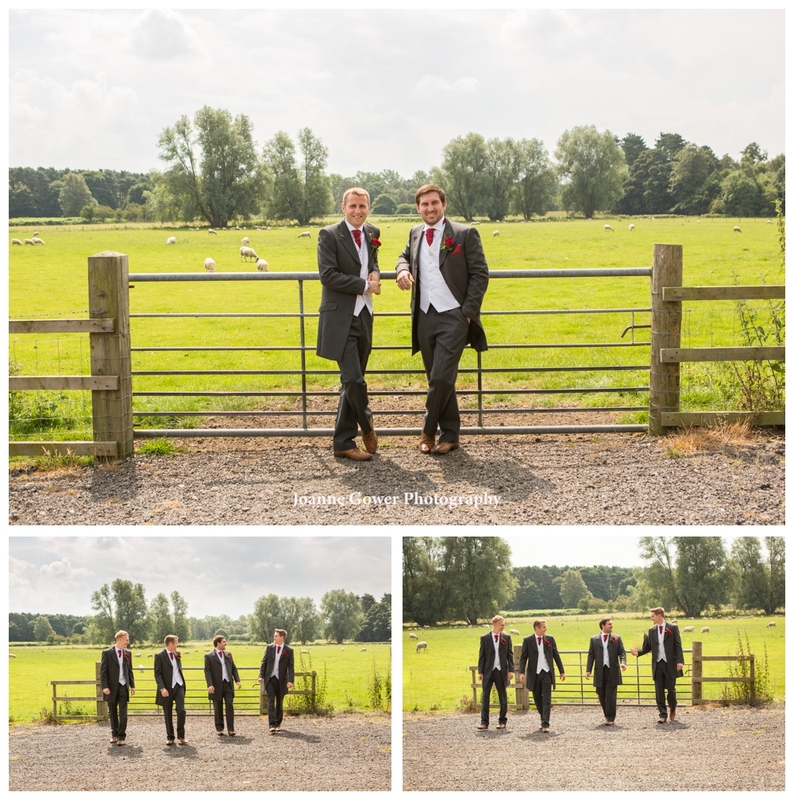 Our portraits of the groom and his bestman Ash, and ushers Tom and Liam were done at Elsham before the bride arrived in style with All Occasion Cars. 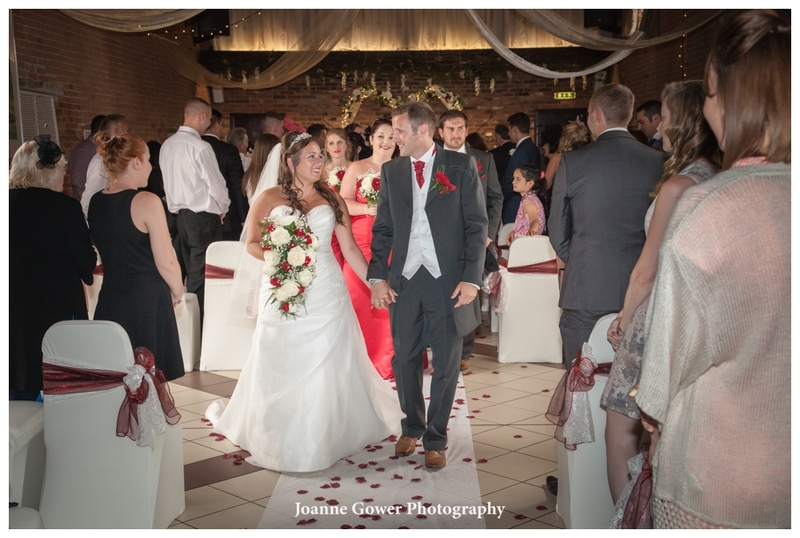 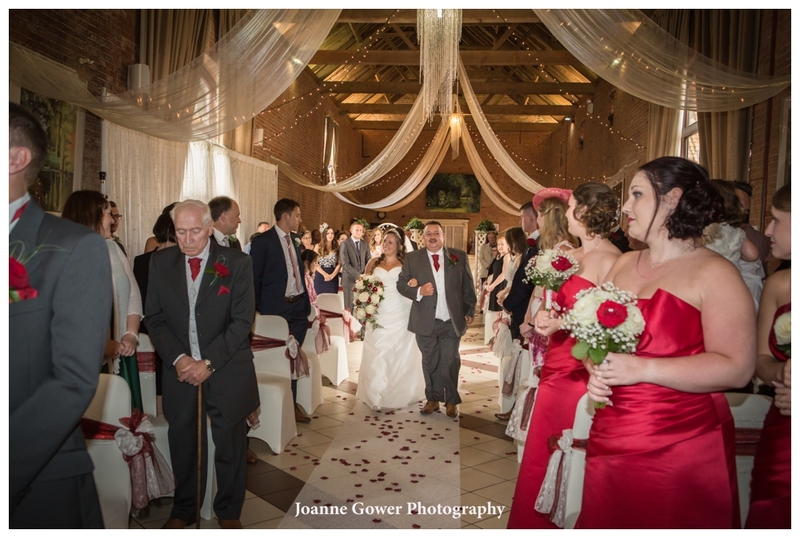 The beautiful claret theme was carried through into the barn with decorations by BV Decor and before long the all important ceremony was underway. 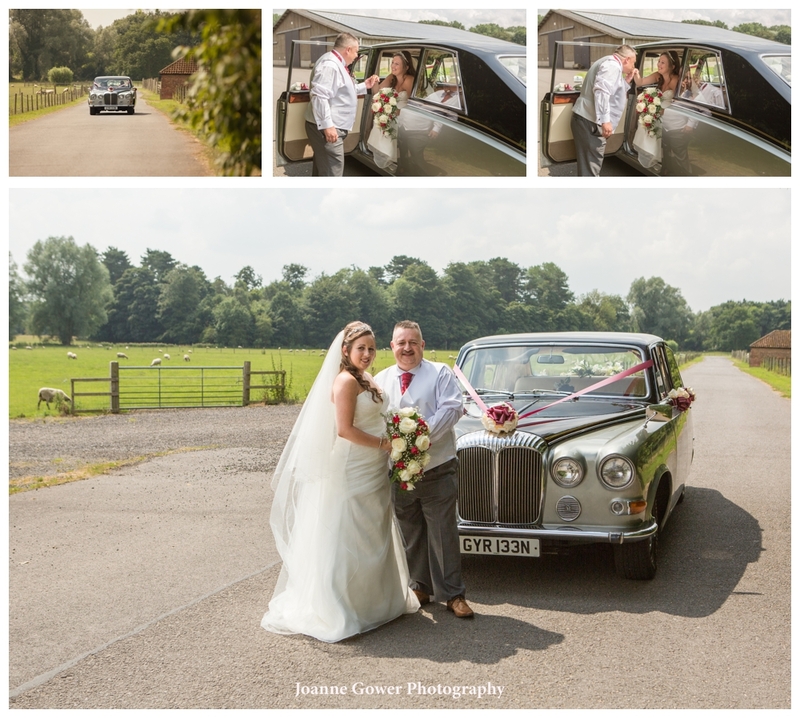 The happy couple then enjoyed a privacy drive whilst guests enjoyed their drinks in the courtyard. 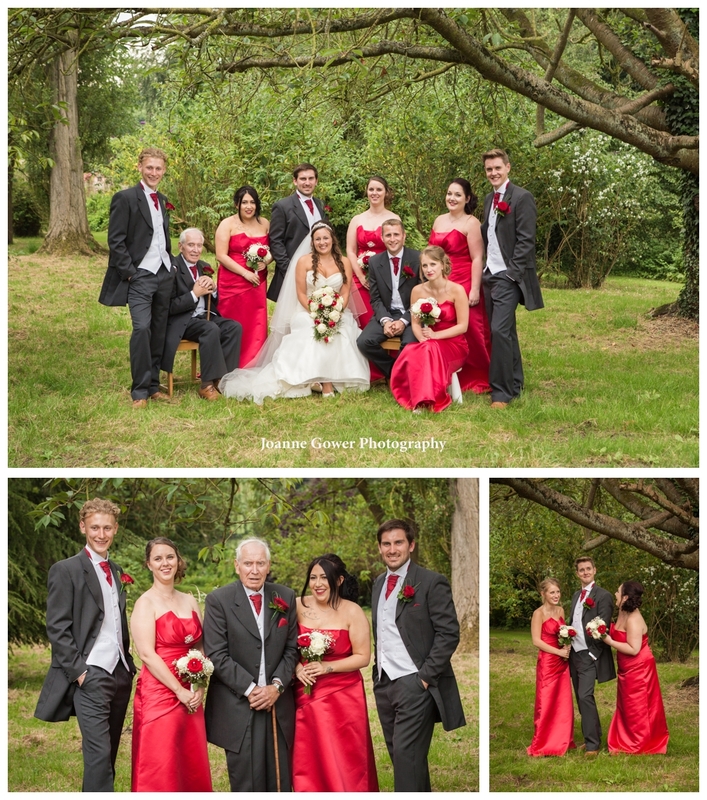 The group photography was done in between showers and we had good fun with family and friends alike. 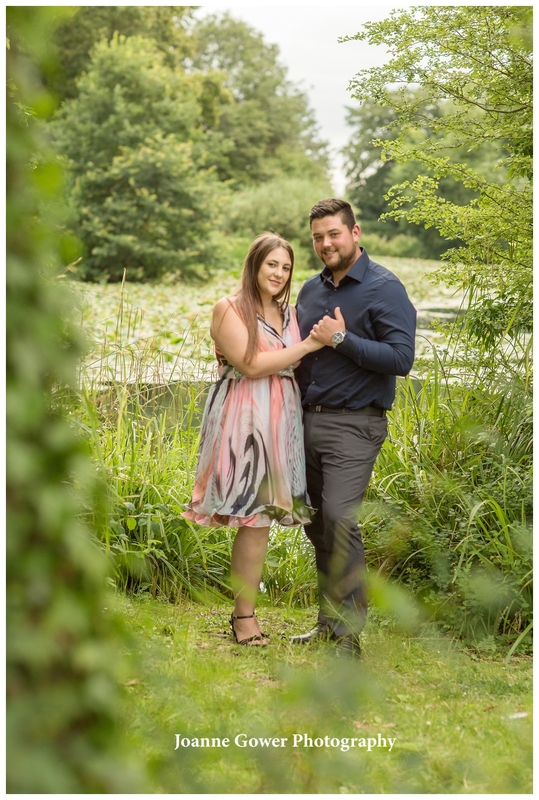 Elsham Hall provides some gorgeous backdrops for wedding photography and we very much enjoyed our quick portrait session with the happy couple before the wedding reception. 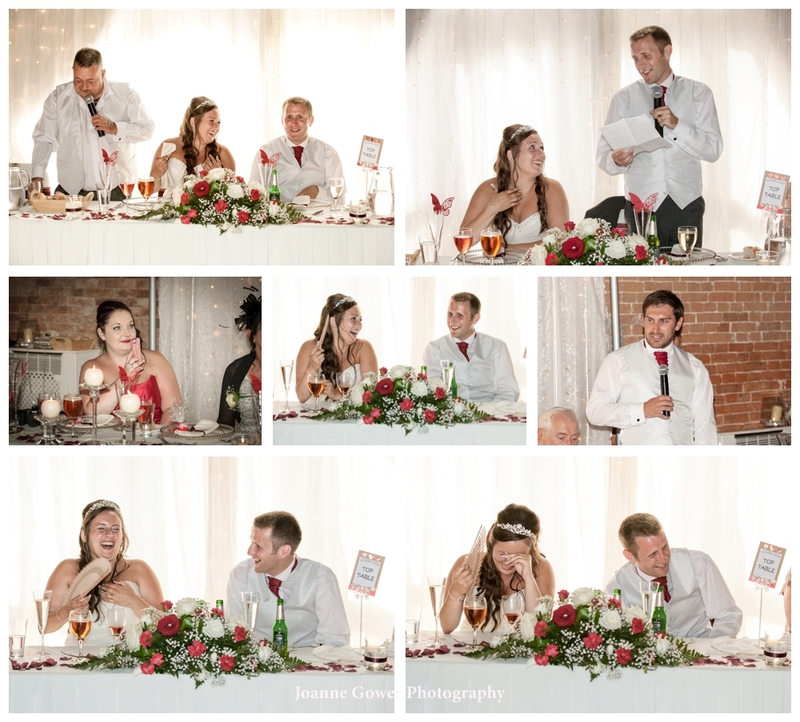 There was much laughter and a few tears during the speeches and a very entertaining delivery of ‘You’ve got a friend in me!” from best man Ash. 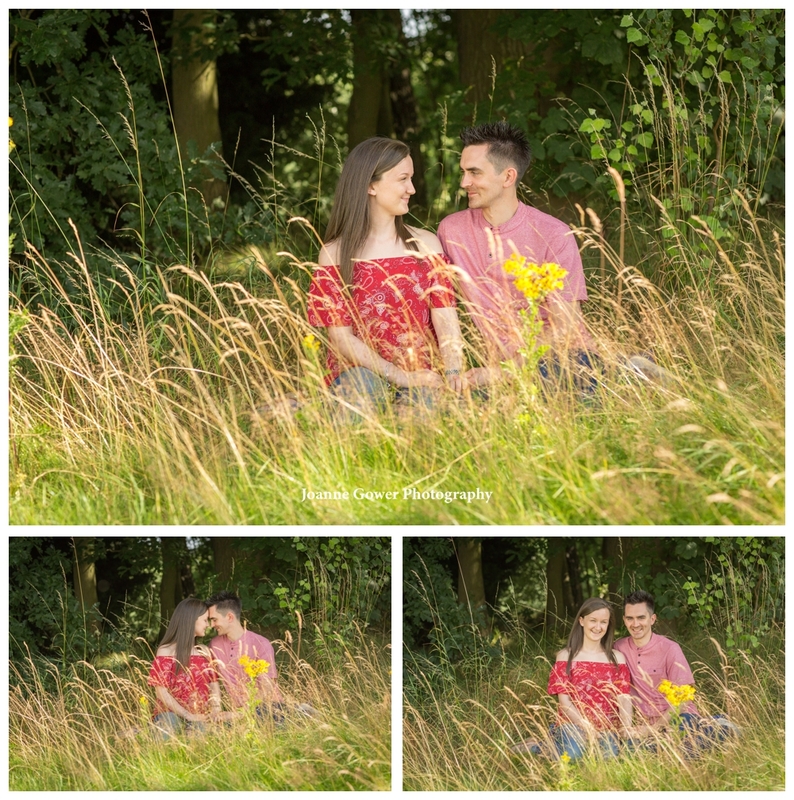 It was a strange day weather wise, being very humid with bouts of sunshine and showers, but ultimately it was mainly a little dull and overcast which meant we had to work a little bit harder to give Michael and Emily the kind of photography they deserve. 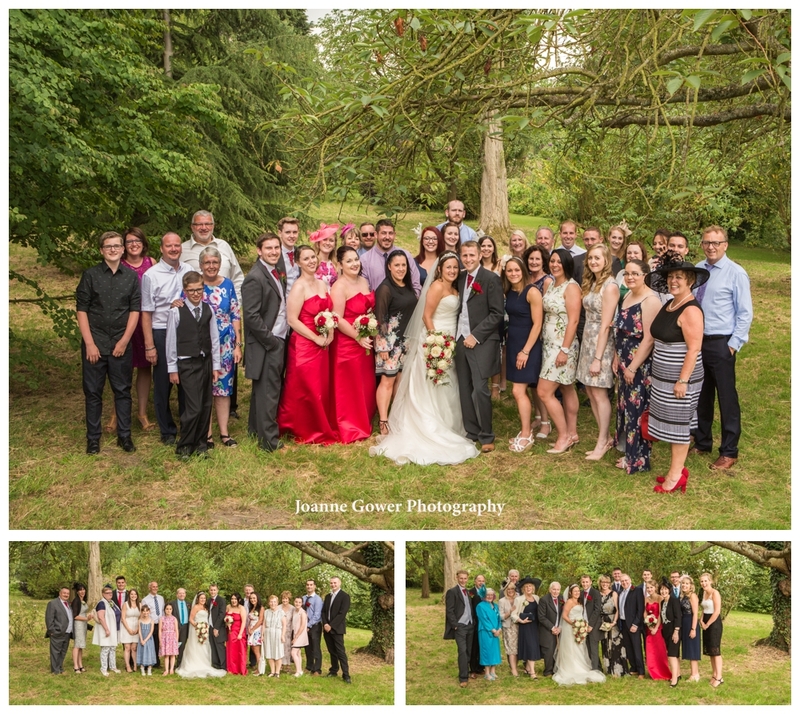 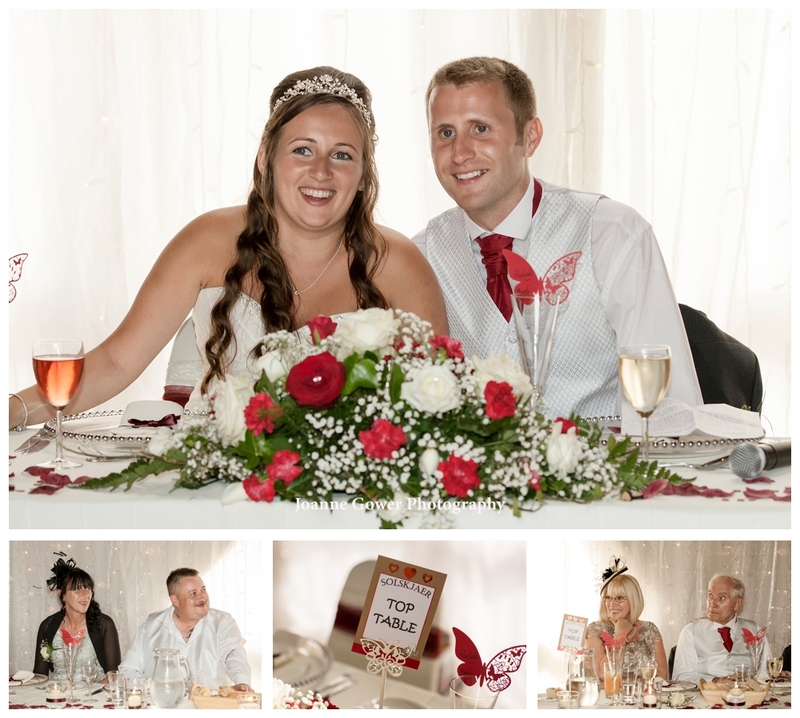 We had a fantastic day with Emily, Michael and their guests. 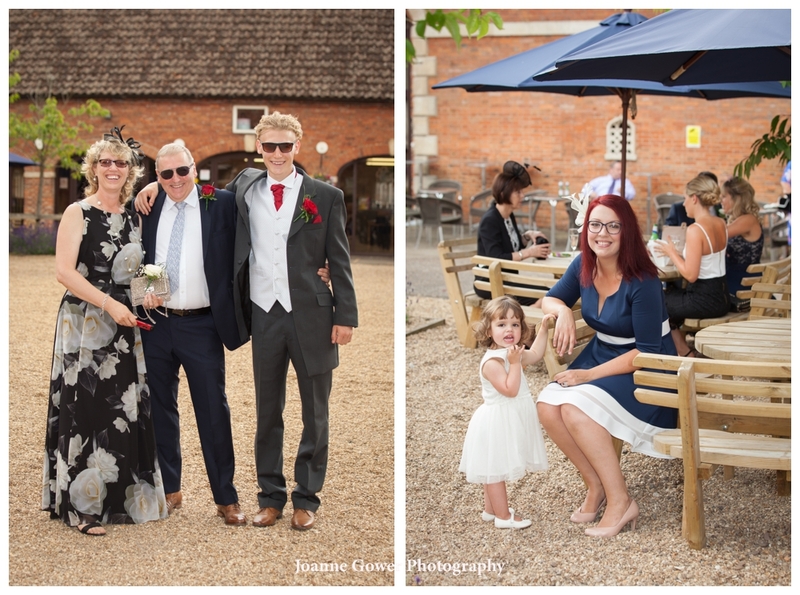 Dad Tony and Grandad Brian had us in hysterics with their tales of past weddings and the story of the trousers that were made to measure for the 6ft 5inch groom. 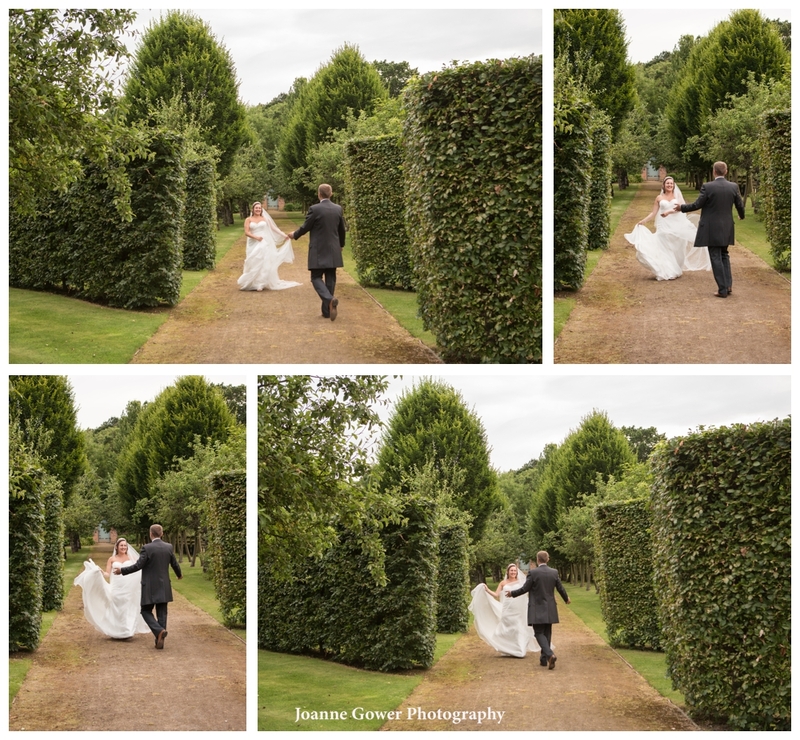 The only trouble was the chap was 5ft 6inches! 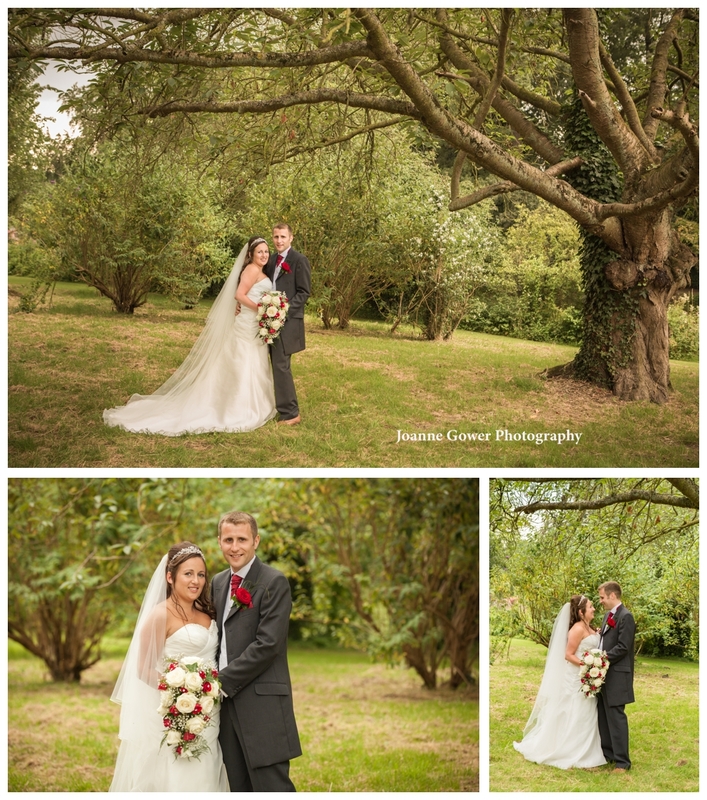 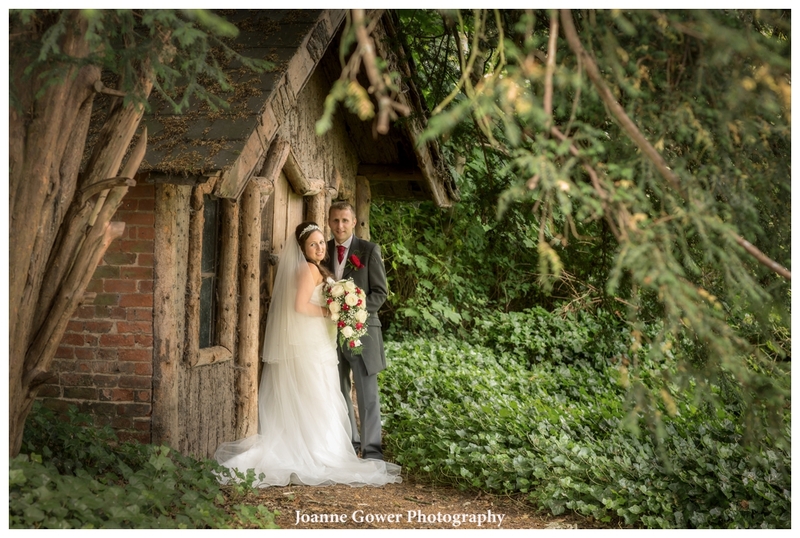 Emily and Michael are a lovely couple and we really enjoyed photographing their wedding. 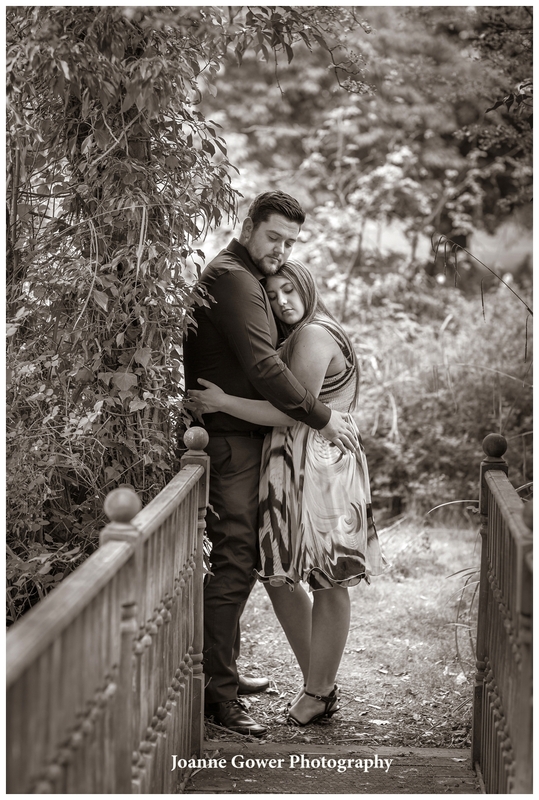 We are very much looking forward to sharing the full collection of photographs with them. 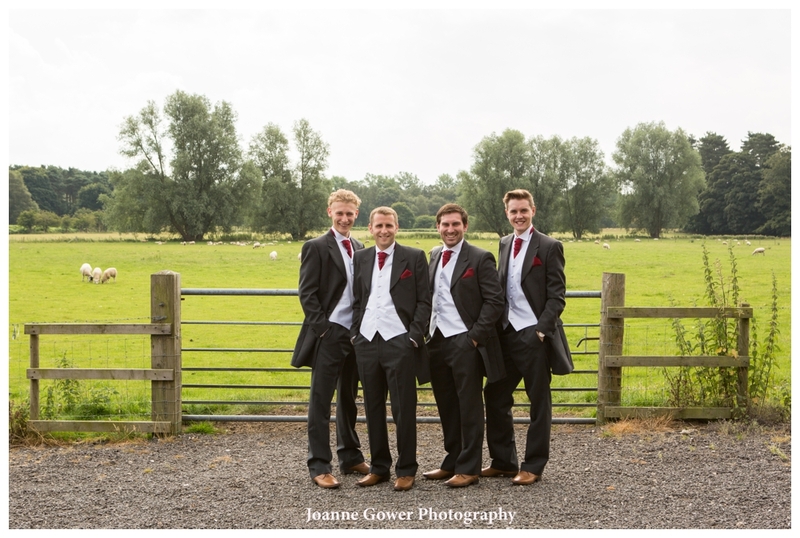 If you are getting married in Lincolnshire and are looking for a wedding photographer, give us a call!